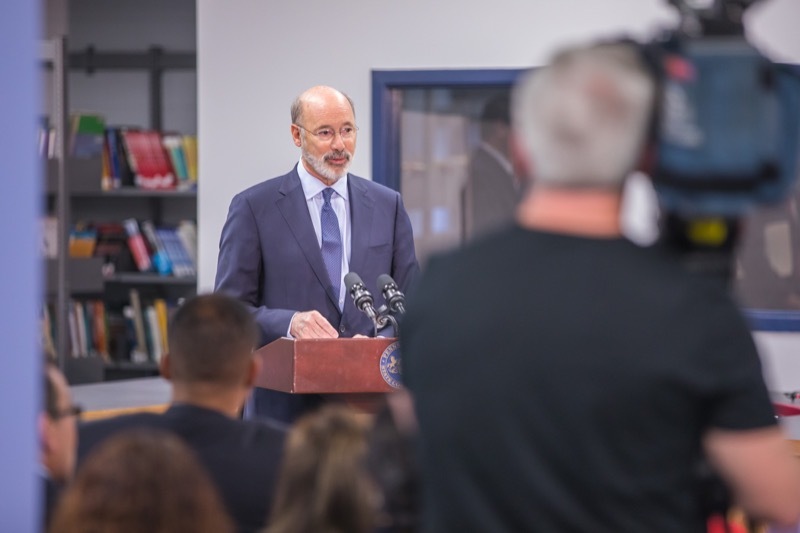 Today, Governor Tom Wolf visited the Stephen Foster Community Center in Lawrenceville to announce Community HealthChoices, a program to improve services for hundreds of thousands of Pennsylvanians that will launch in 14 southwest Pennsylvania counties in January 2018. 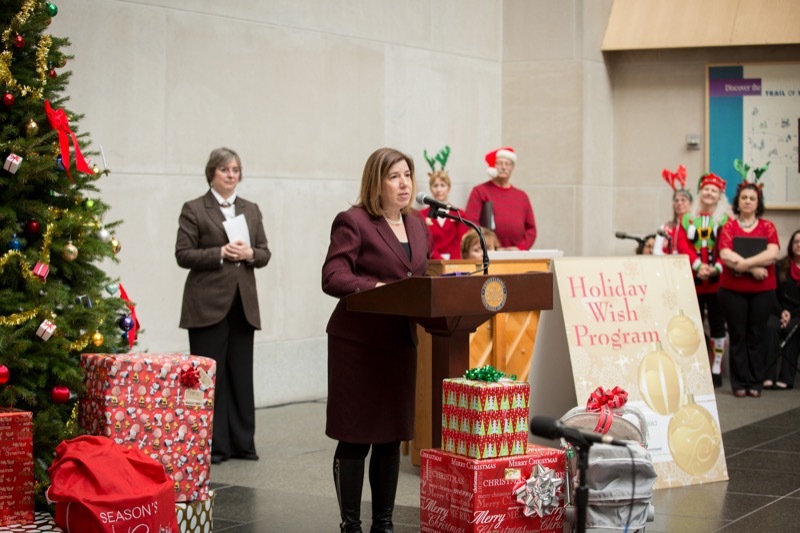 The governor was joined by Teresa Miller, Acting Secretary for the Department of Human Services; Teresa Osborne, Secretary of the Department of Aging; and Rich Fitzgerald, Allegheny County Executive. 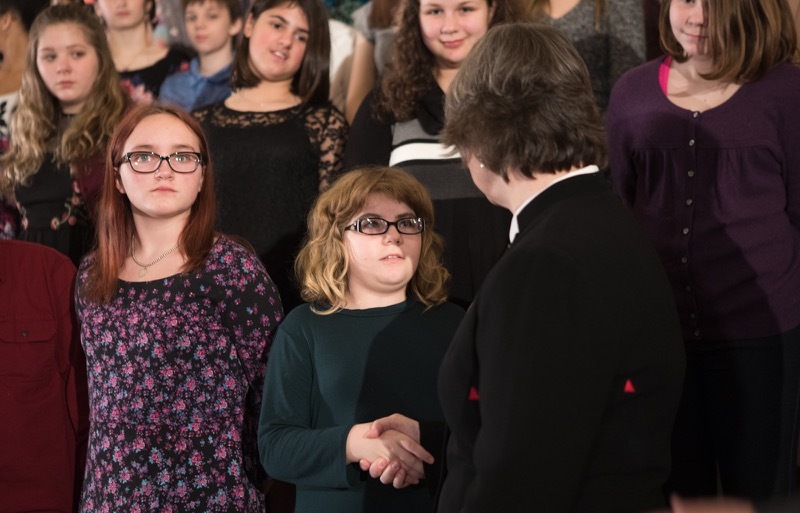 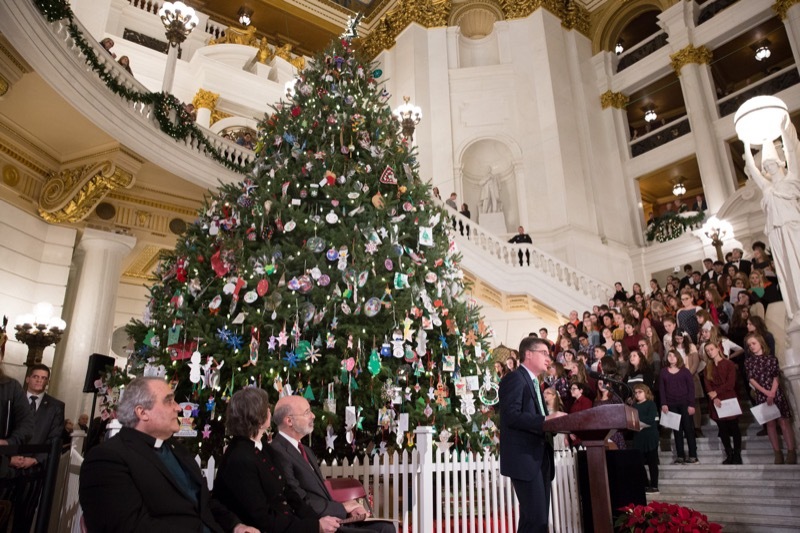 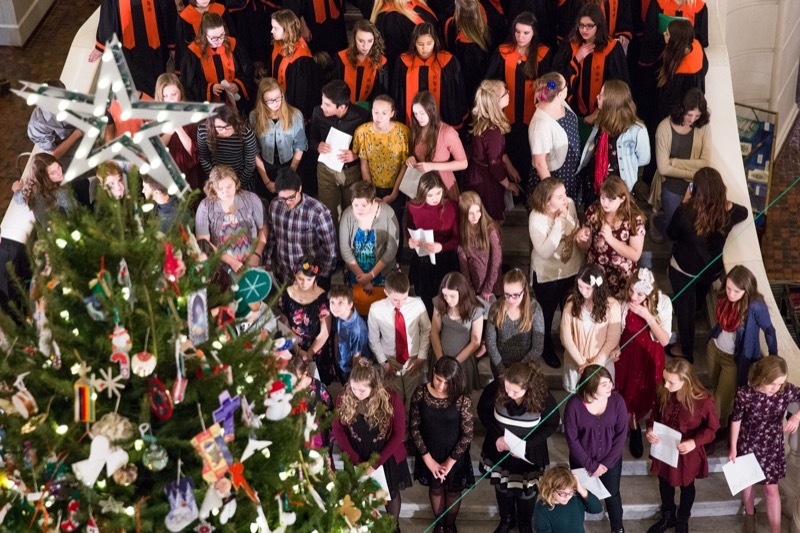 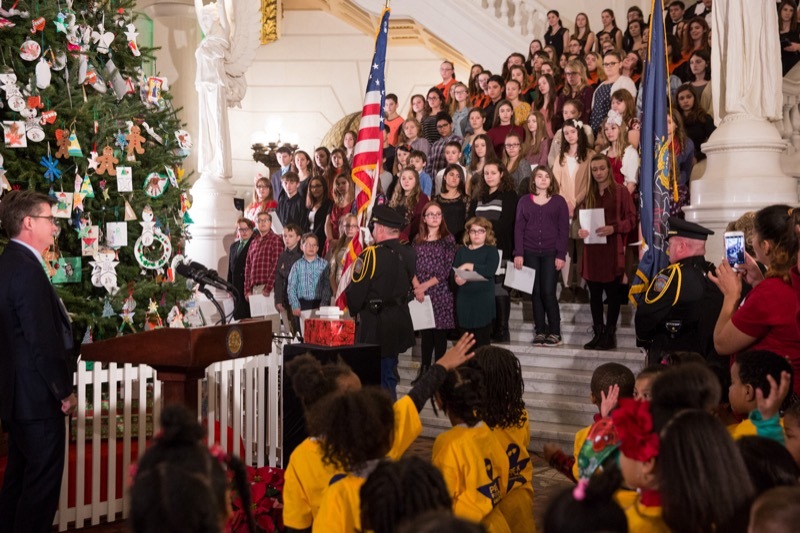 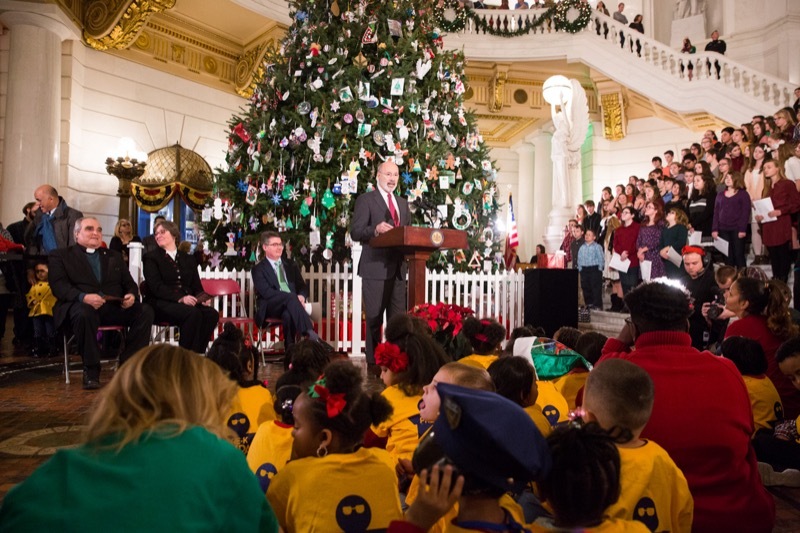 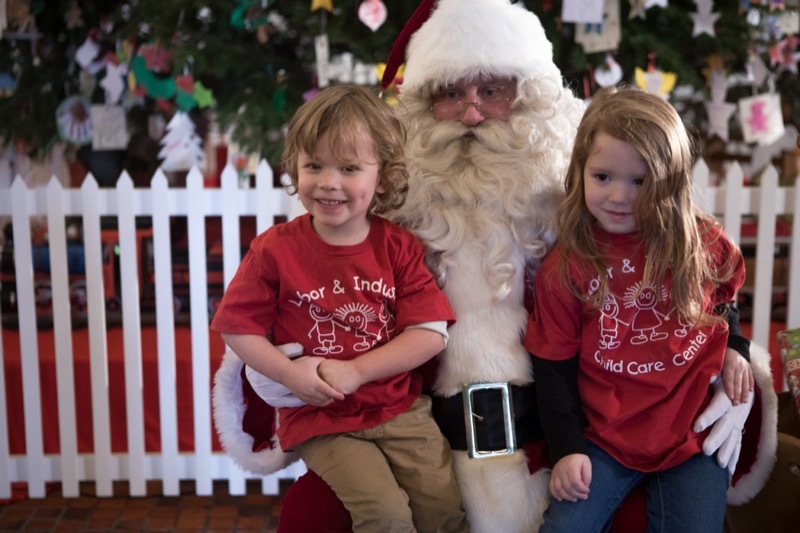 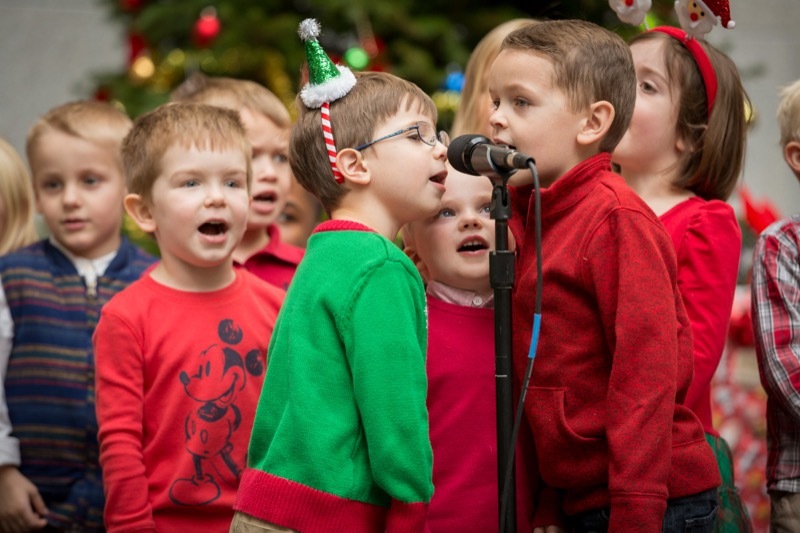 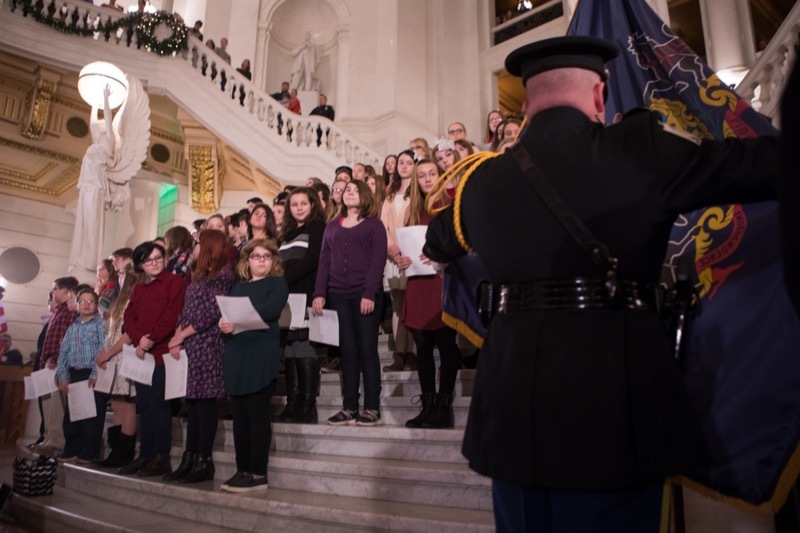 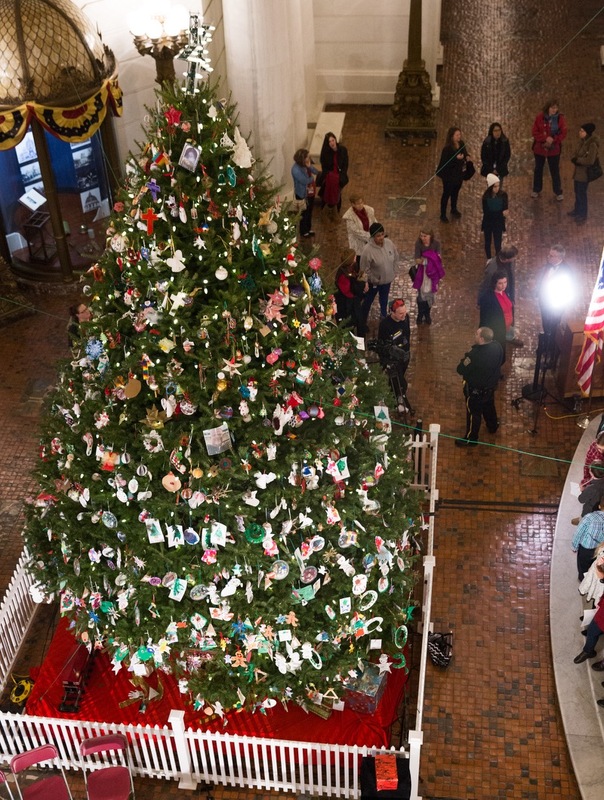 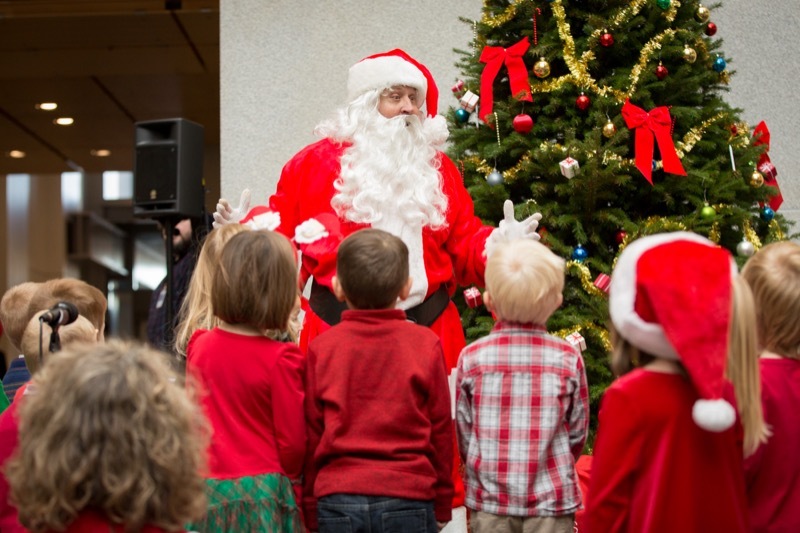 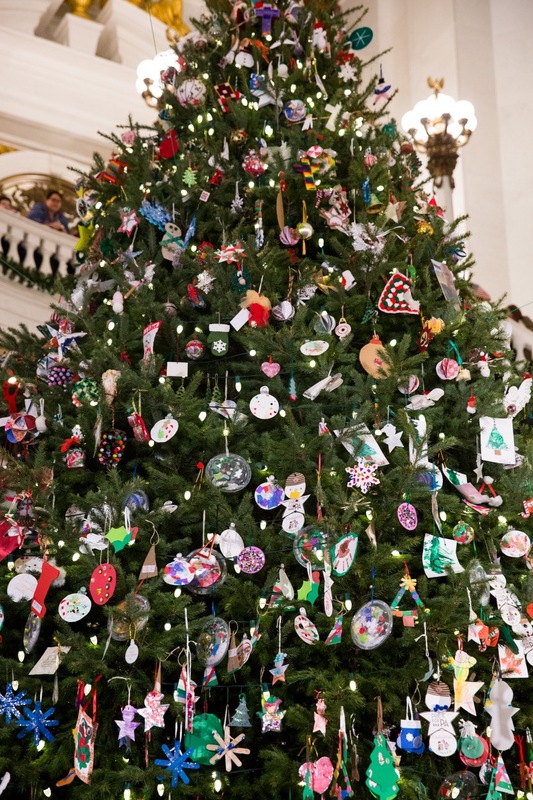 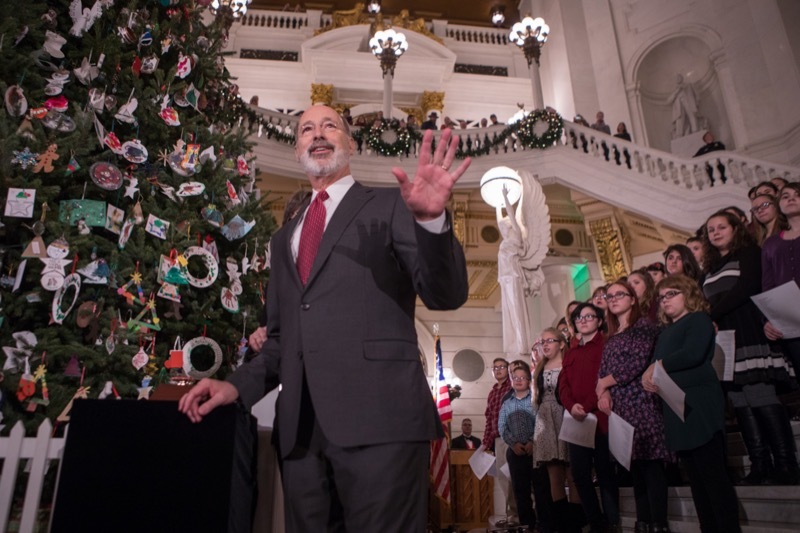 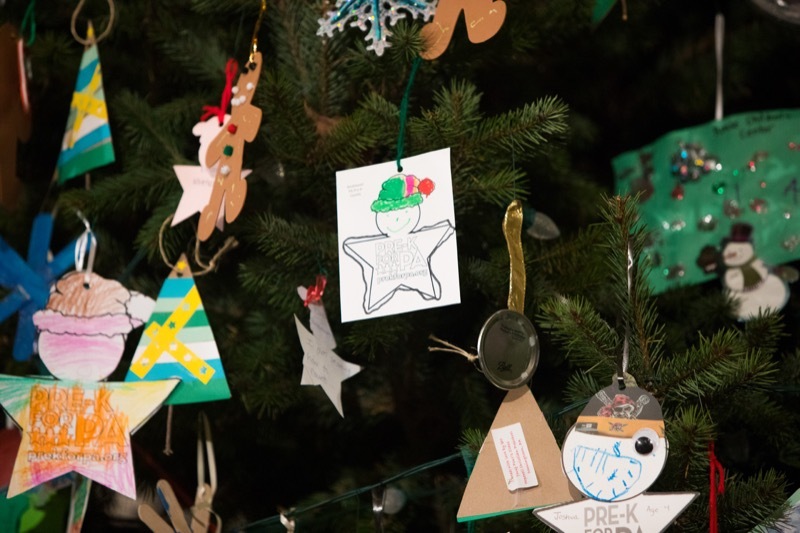 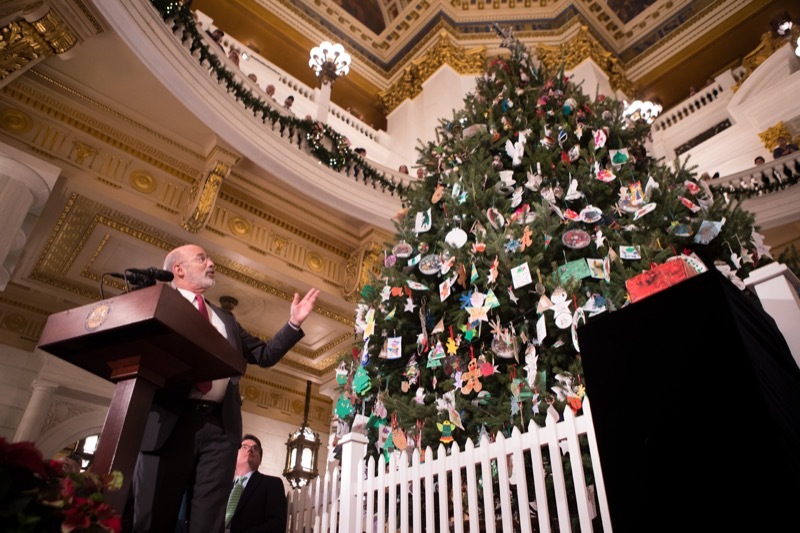 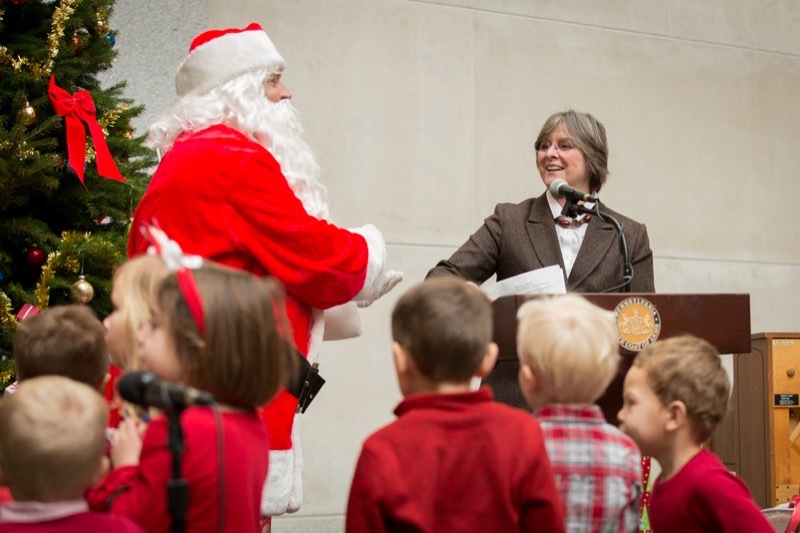 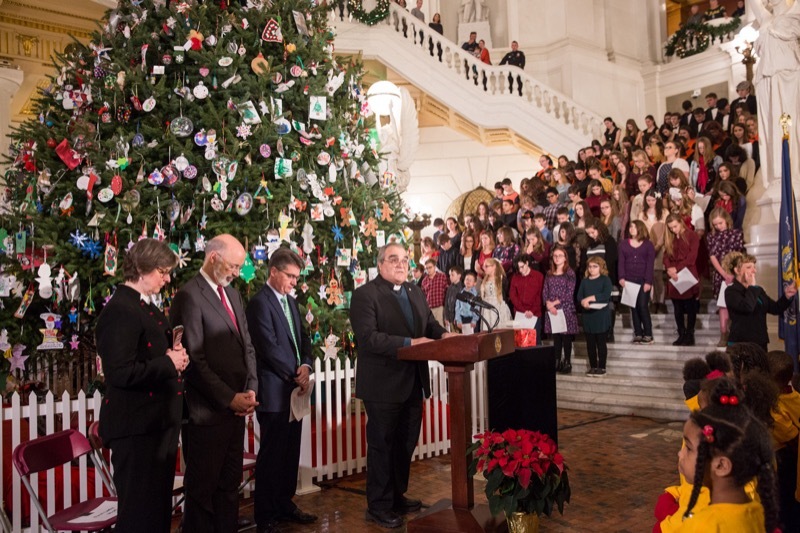 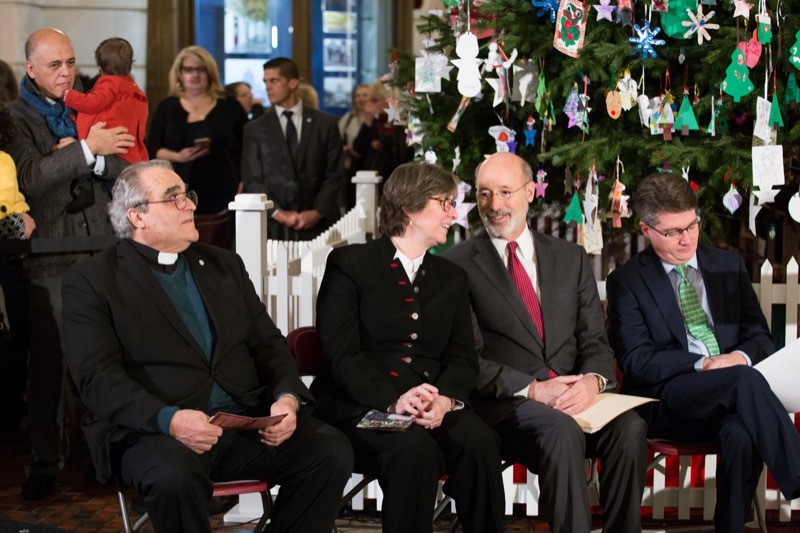 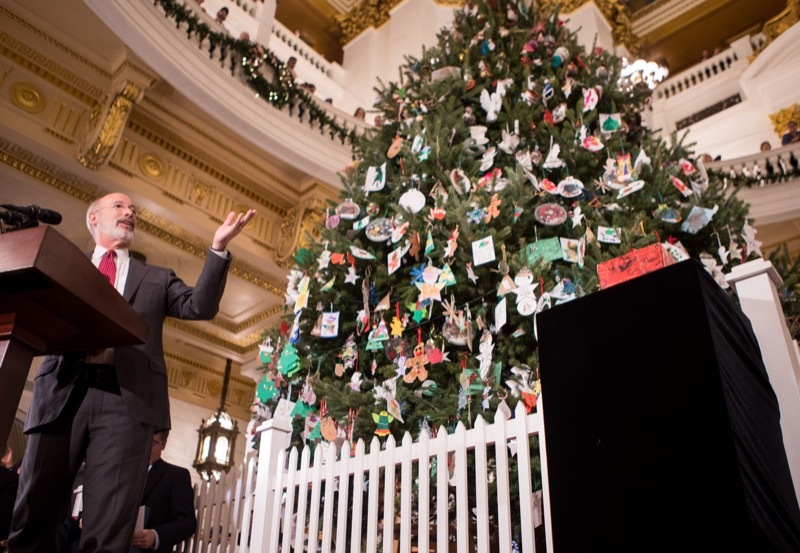 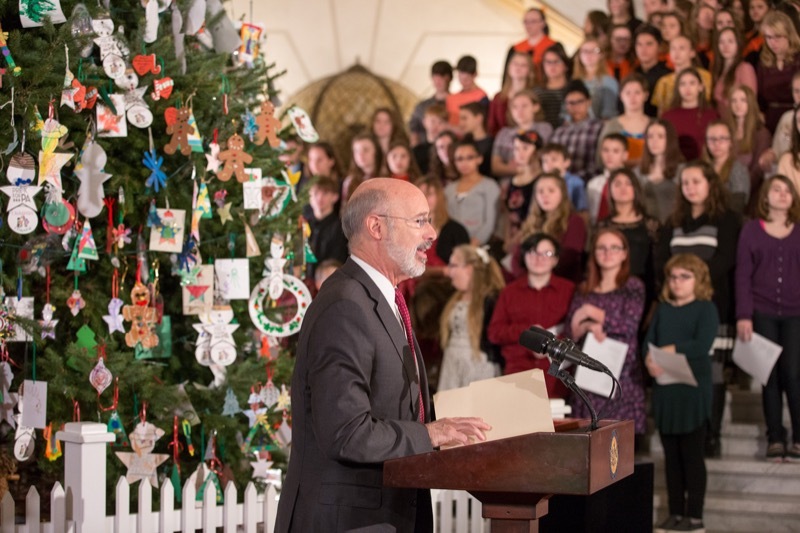 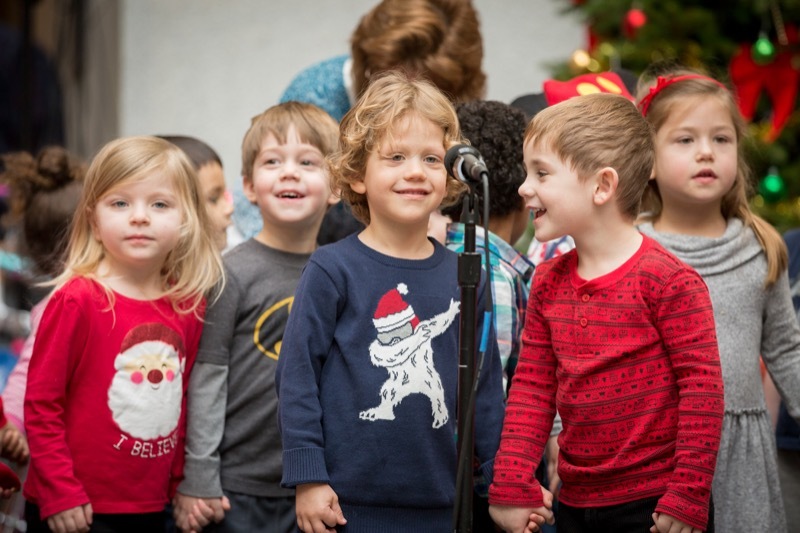 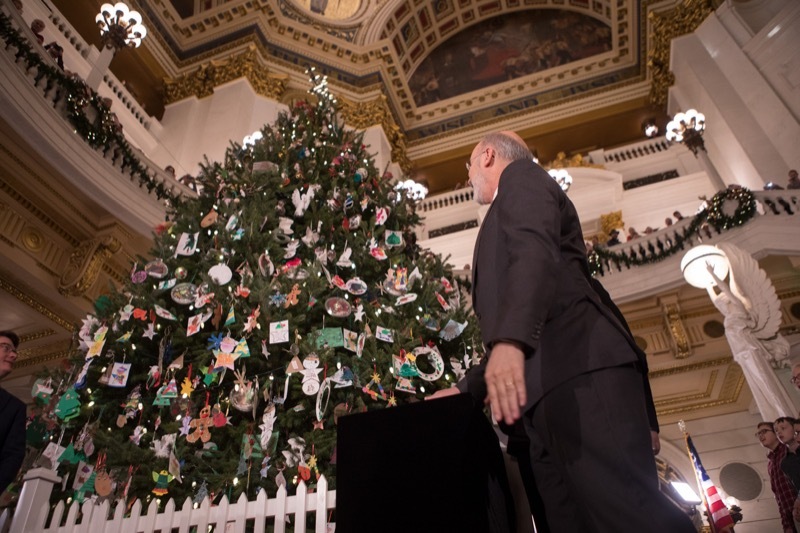 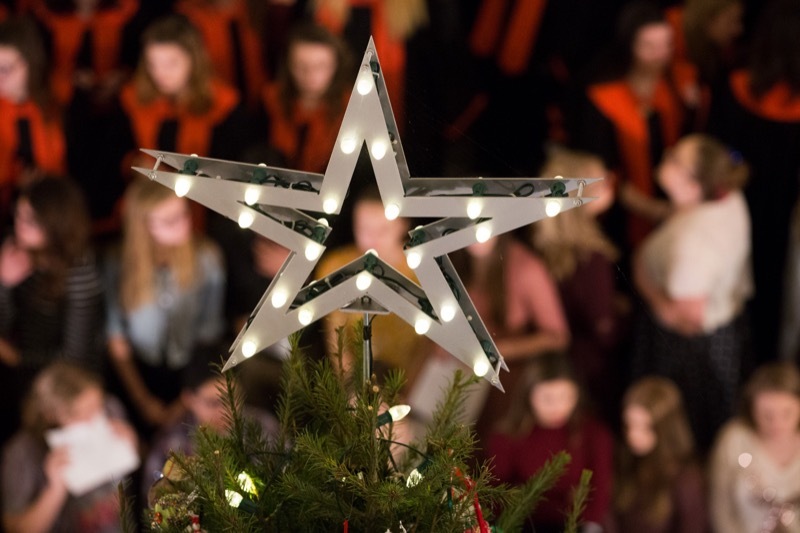 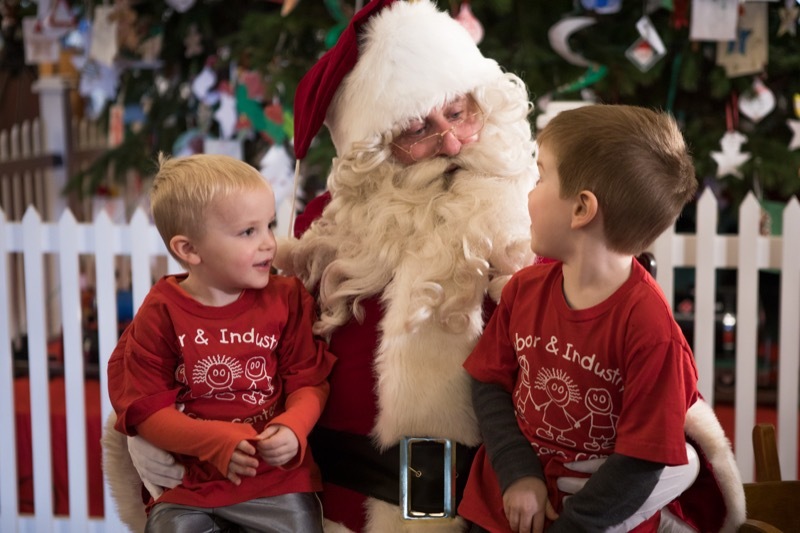 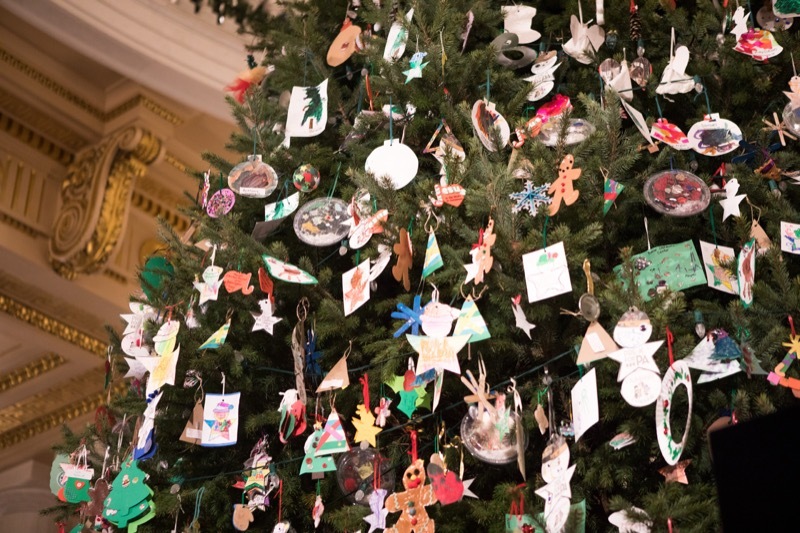 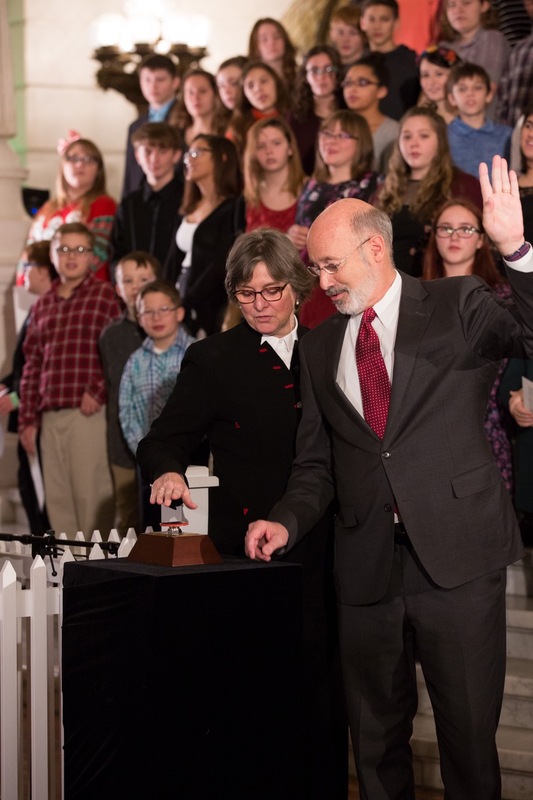 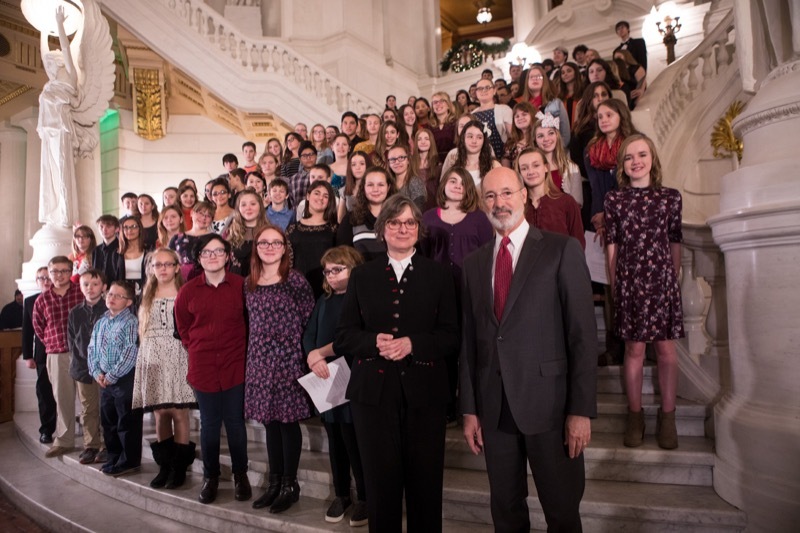 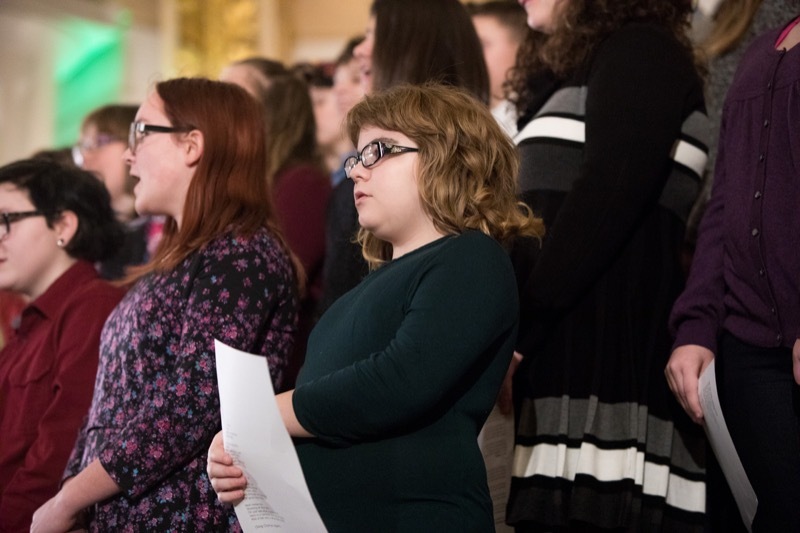 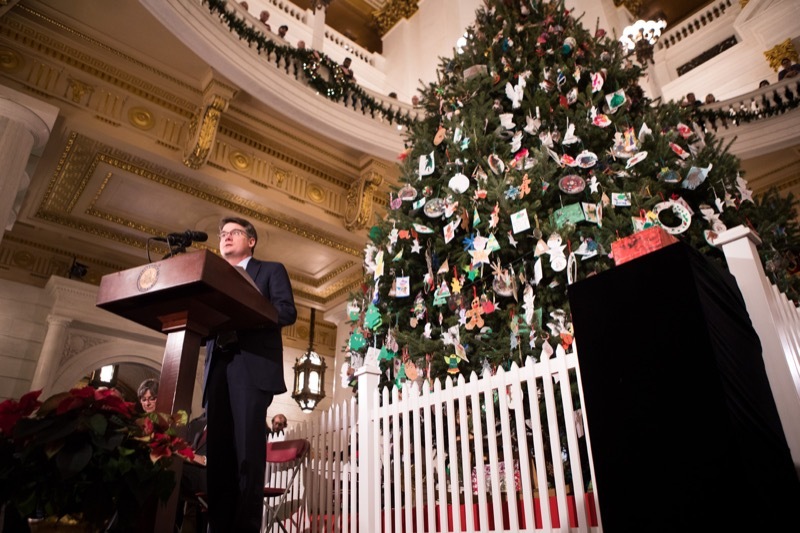 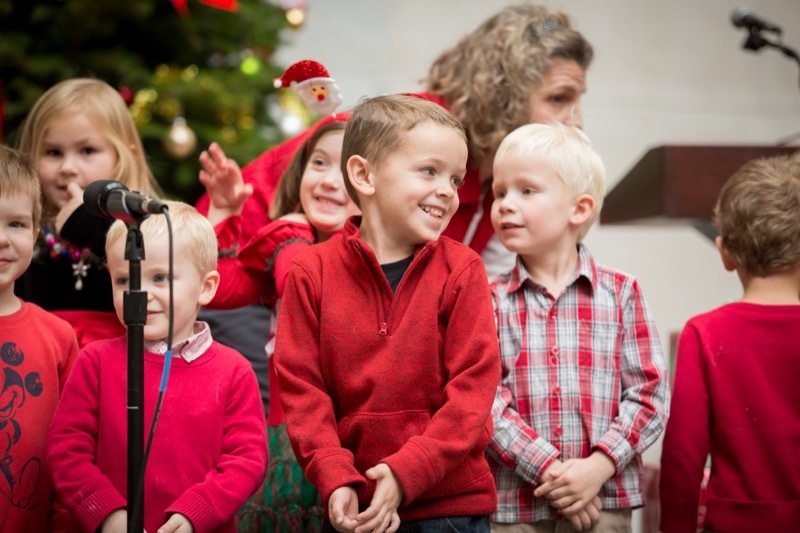 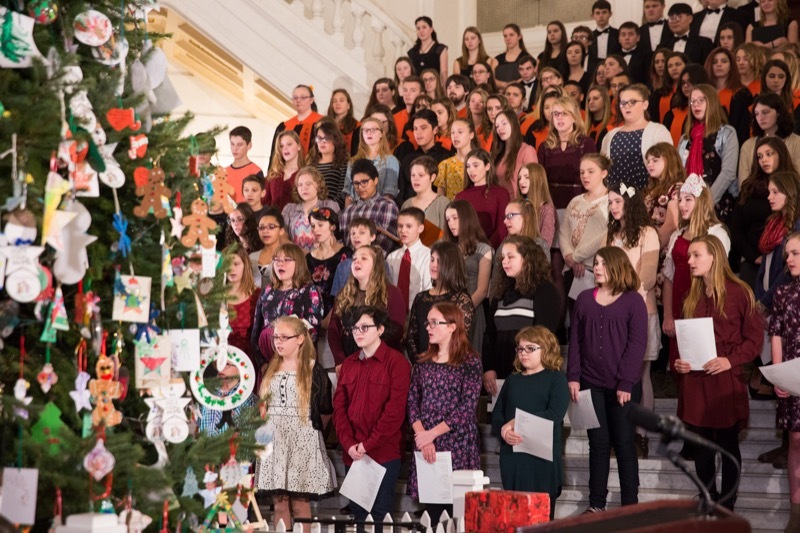 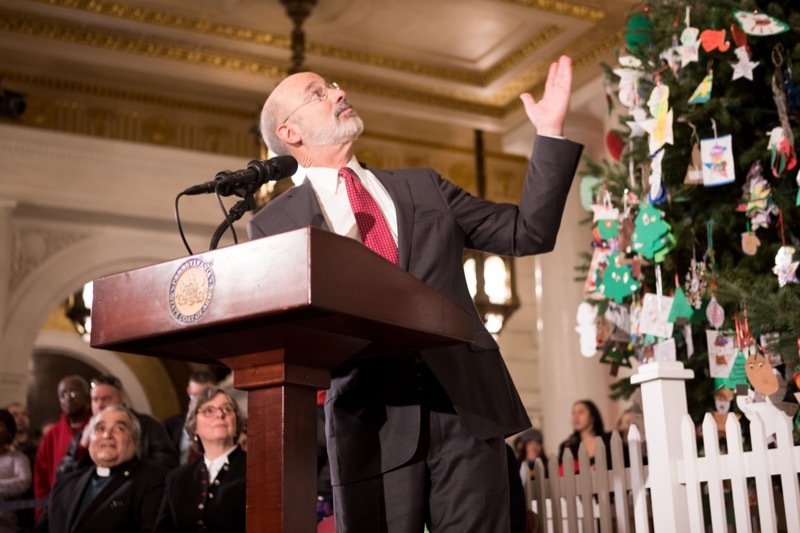 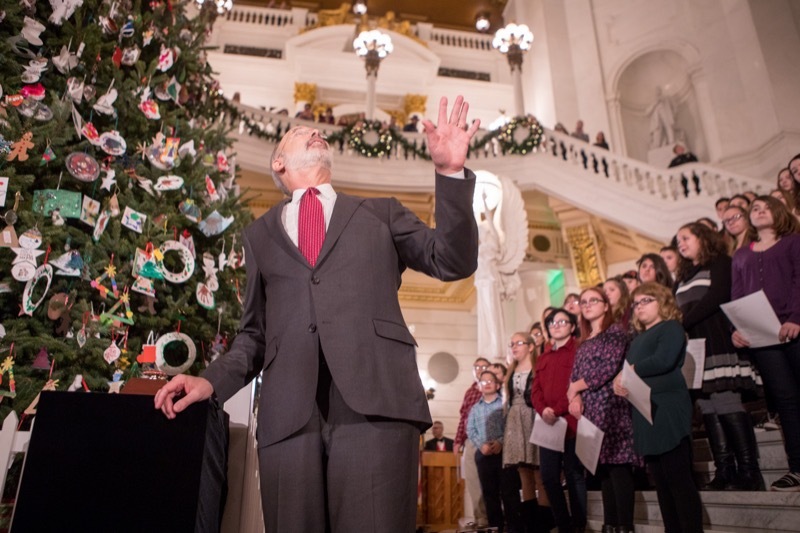 Governor Tom Wolf and First Lady Frances Wolf joined hundreds of people in the state Capitol Rotunda today to celebrate the holidays with the 2017 Capitol Tree Lighting Ceremony. 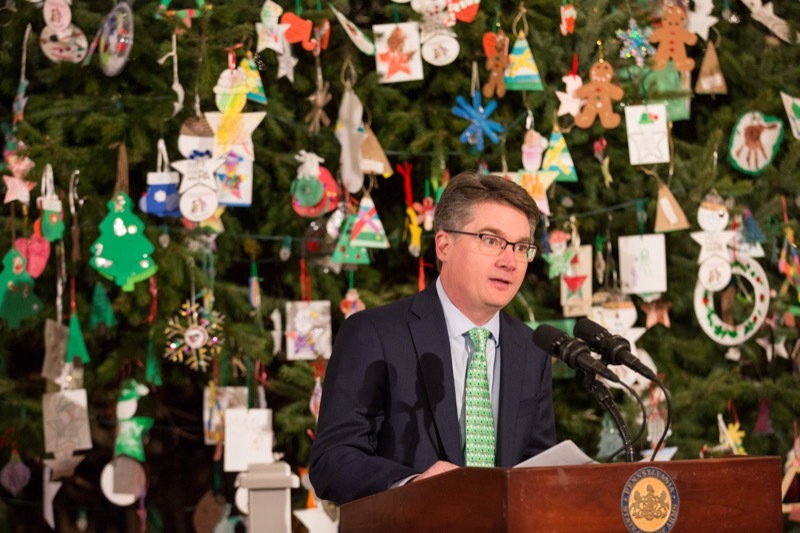 The Pennsylvania Department of Revenue saved taxpayers approximately $29.3 million in the last fiscal year by improving the process it uses to prevent the issuance of fraudulent and erroneous tax refunds, Revenue Secretary Dan Hassell announced today. 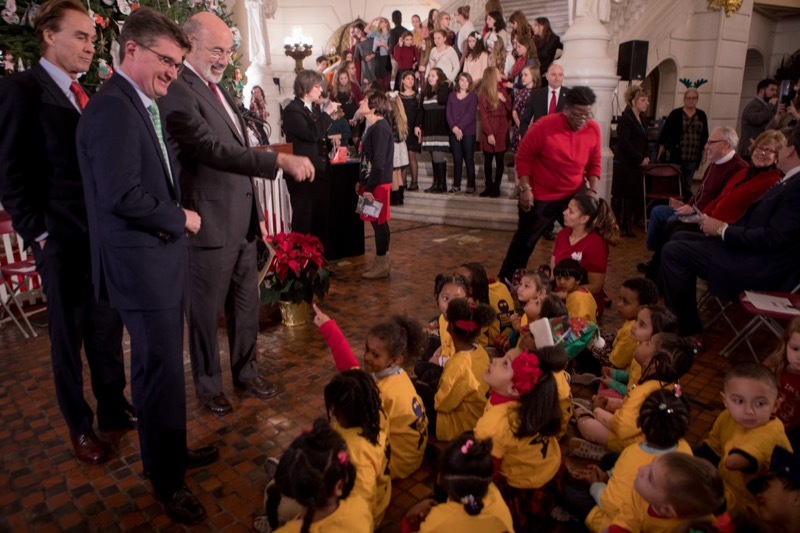 An estimated $80.5 million will be saved over four years. 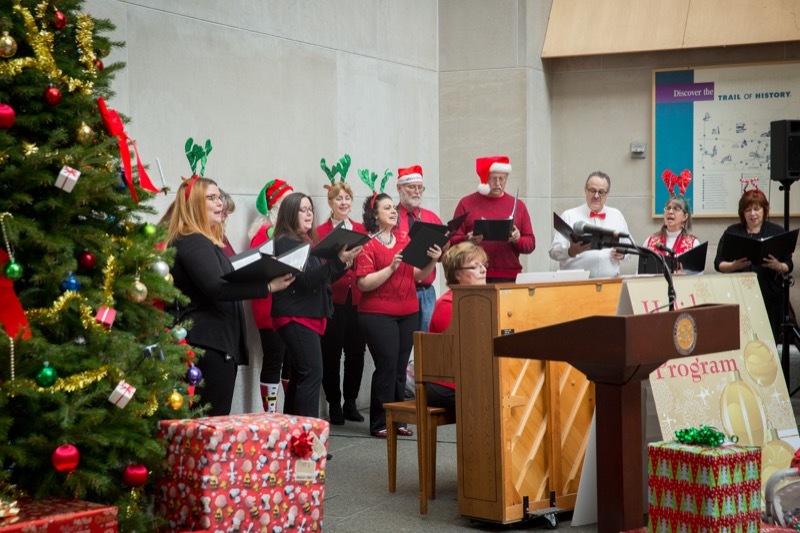 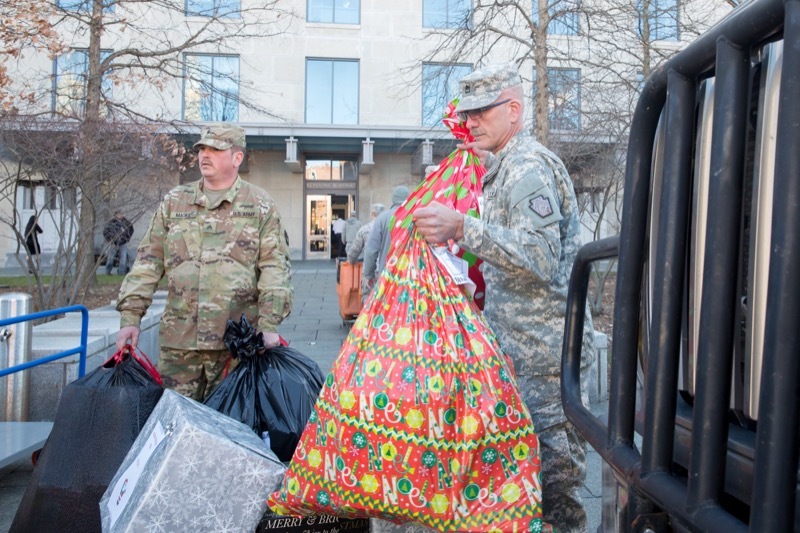 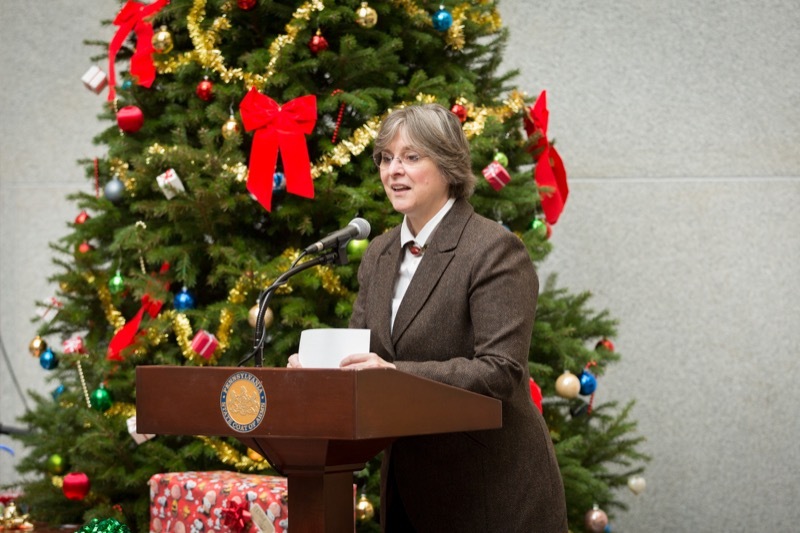 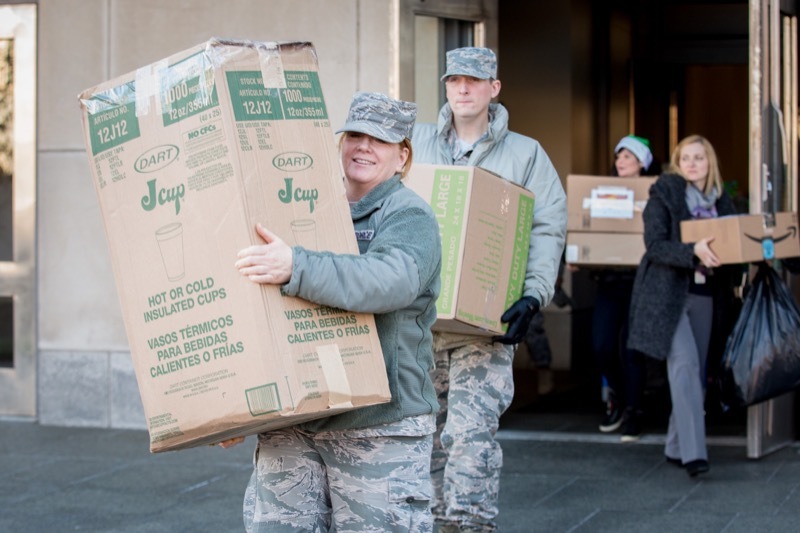 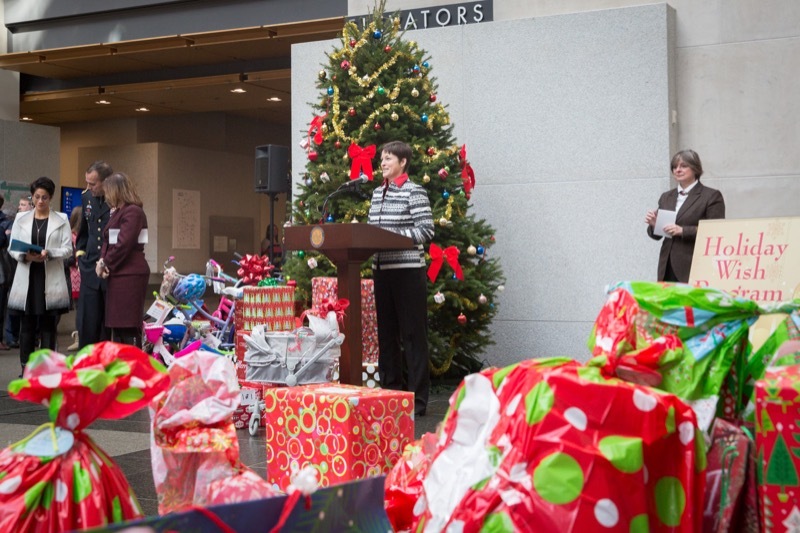 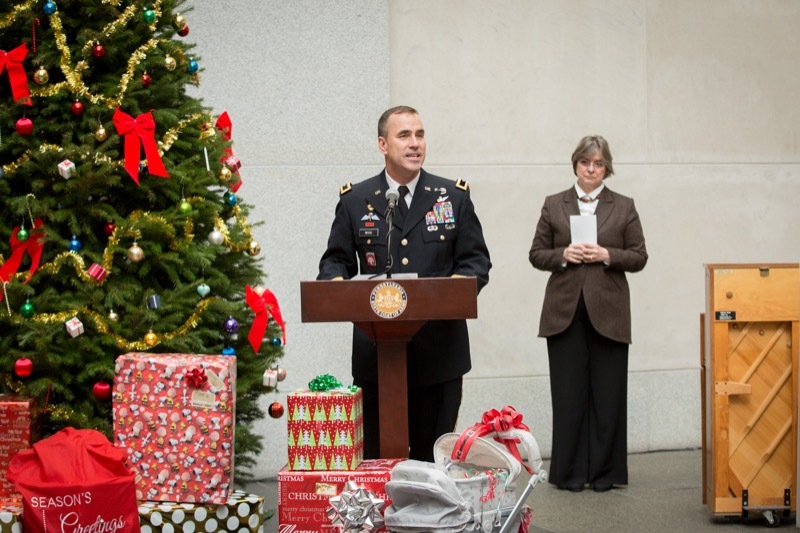 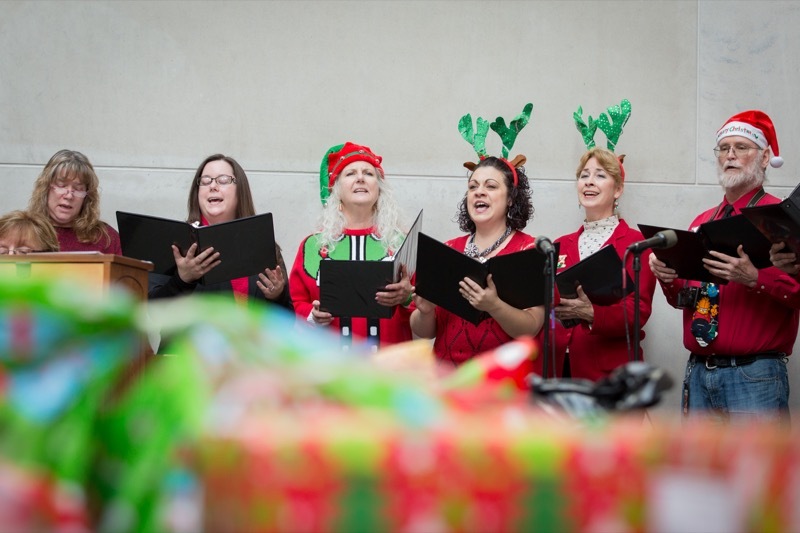 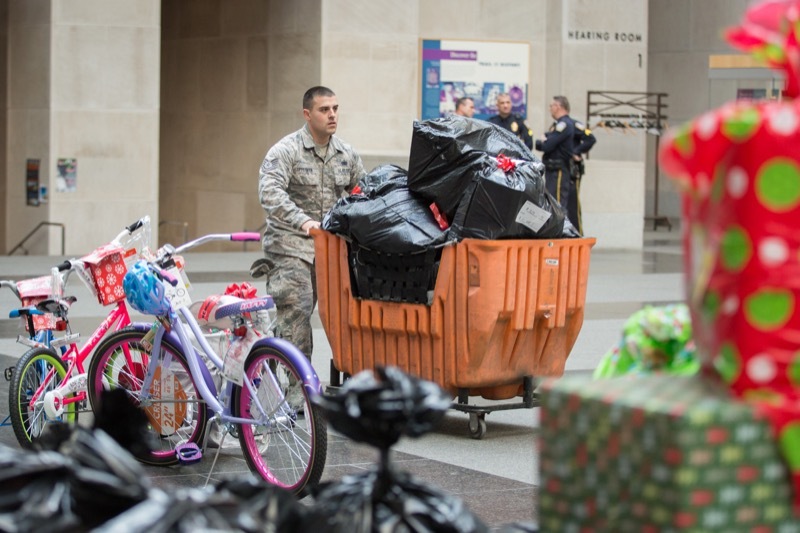 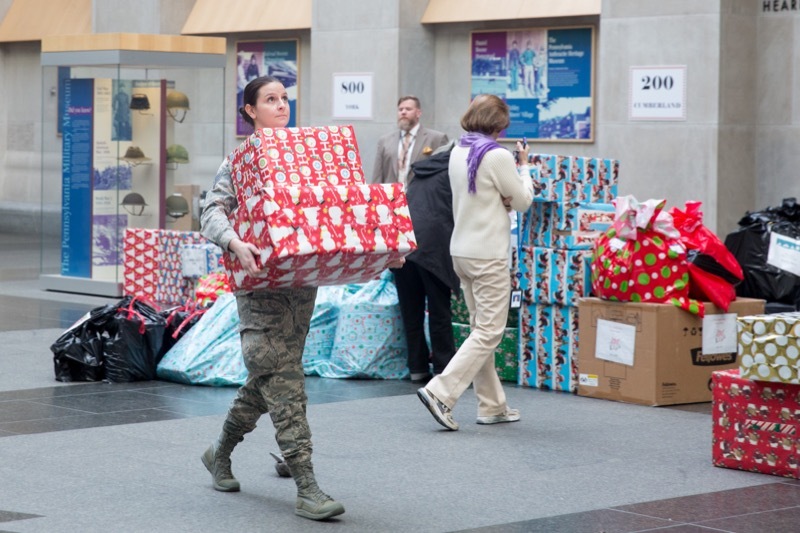 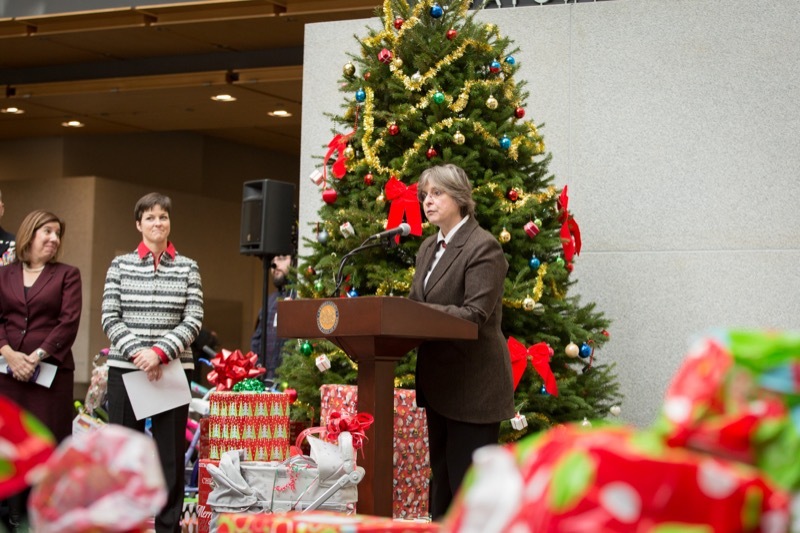 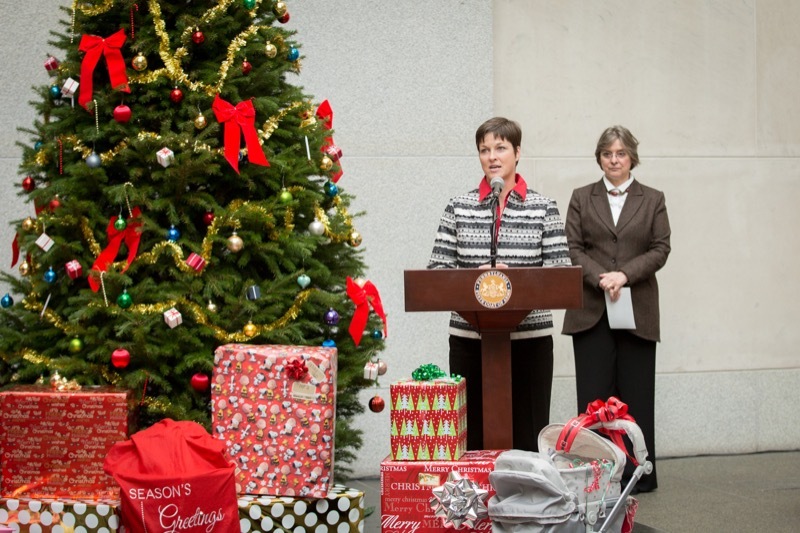 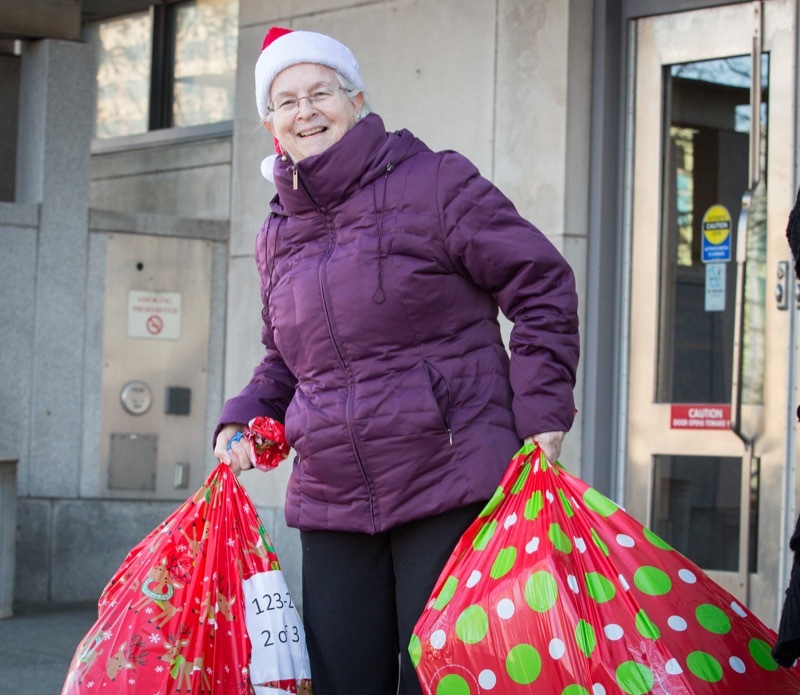 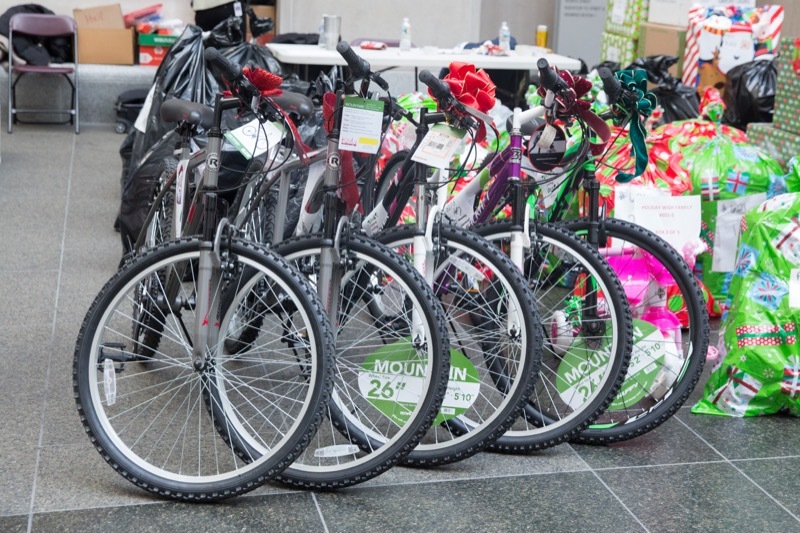 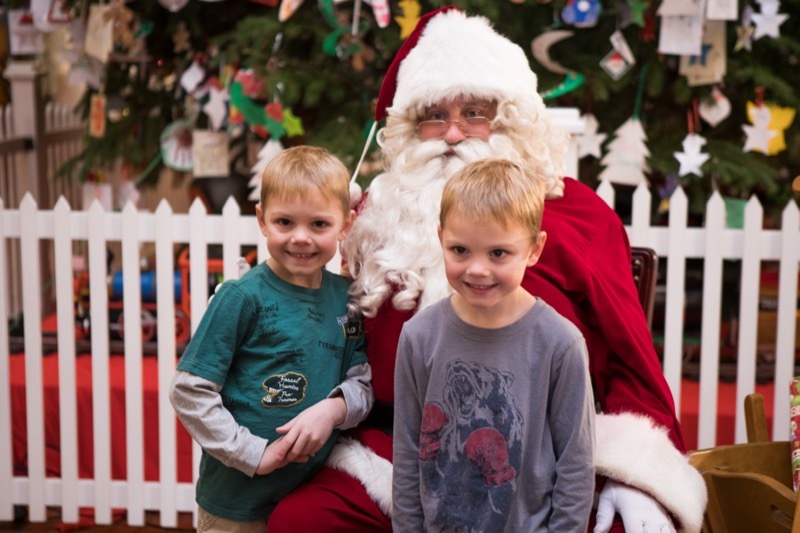 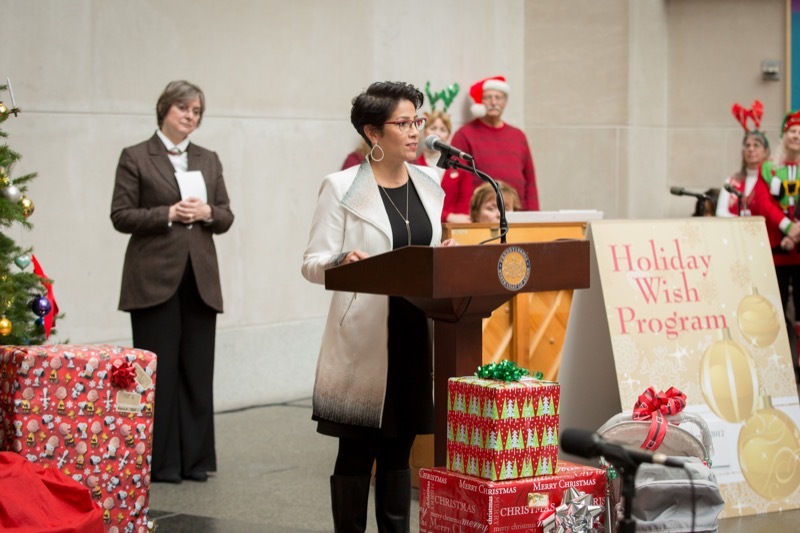 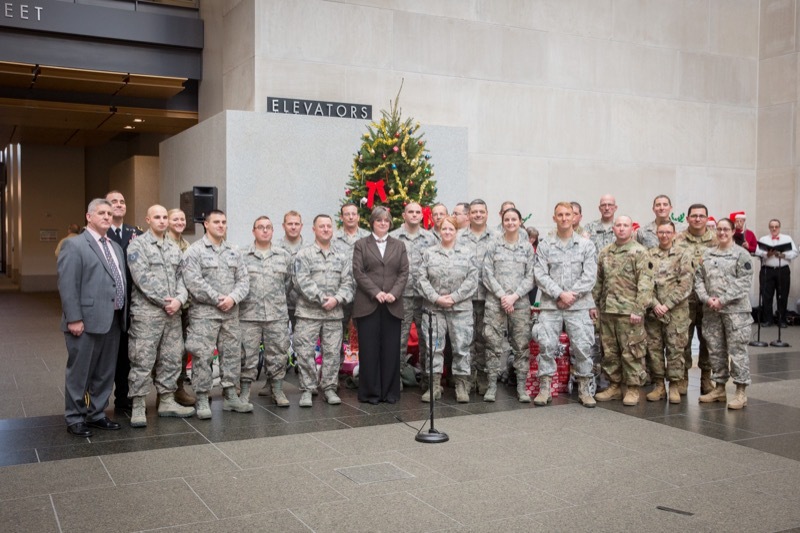 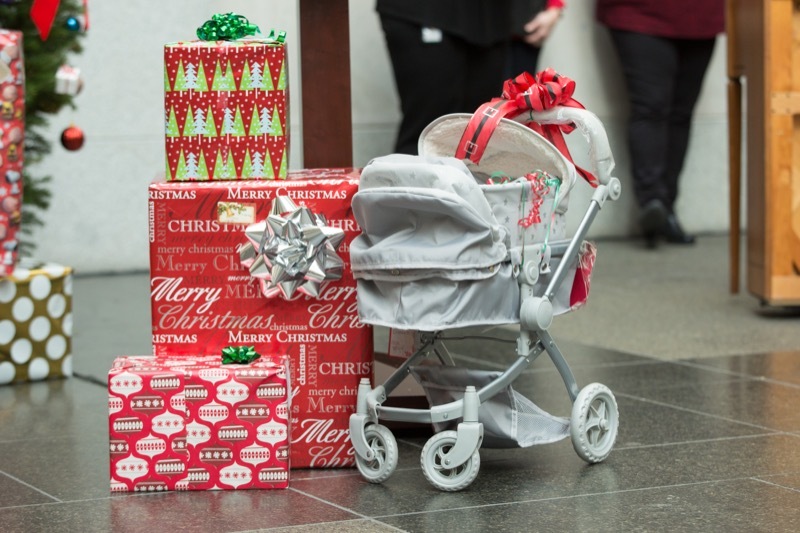 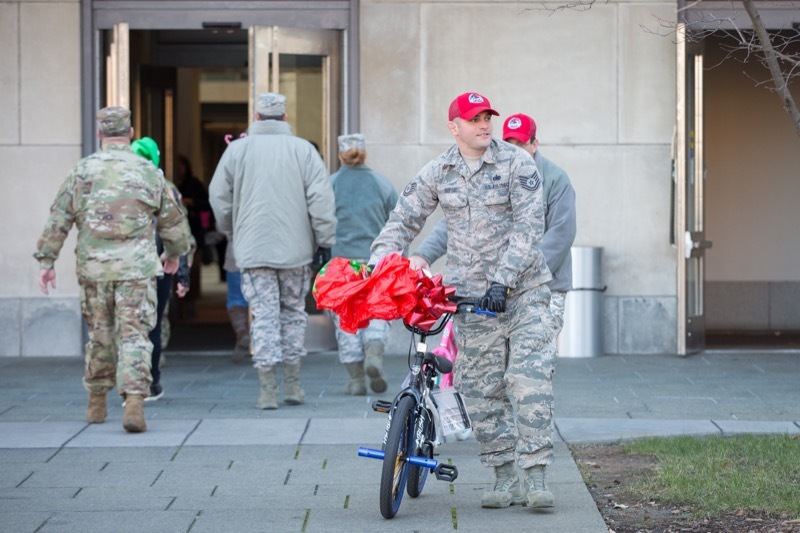 Today, First Lady Frances Wolf joined cabinet members for the 28th annual Holiday Wish Program gift drive in Harrisburg, which provides donated gifts to about 200 families and 100 seniors across Pennsylvania. 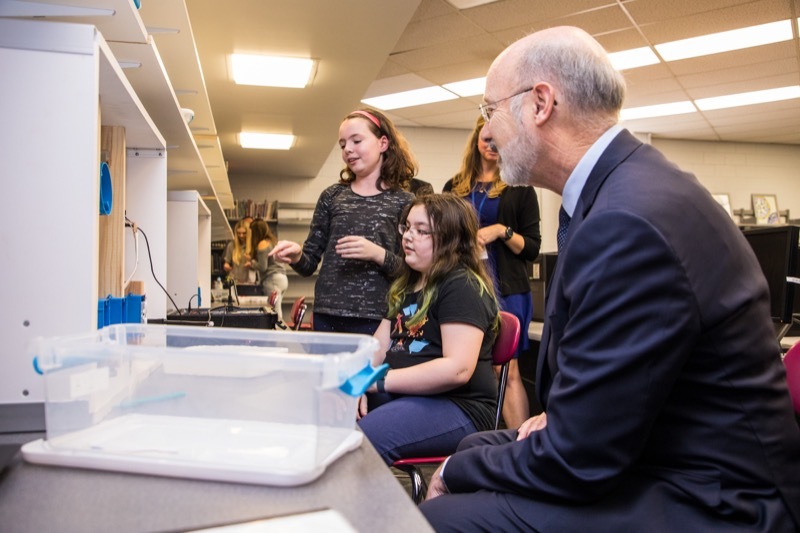 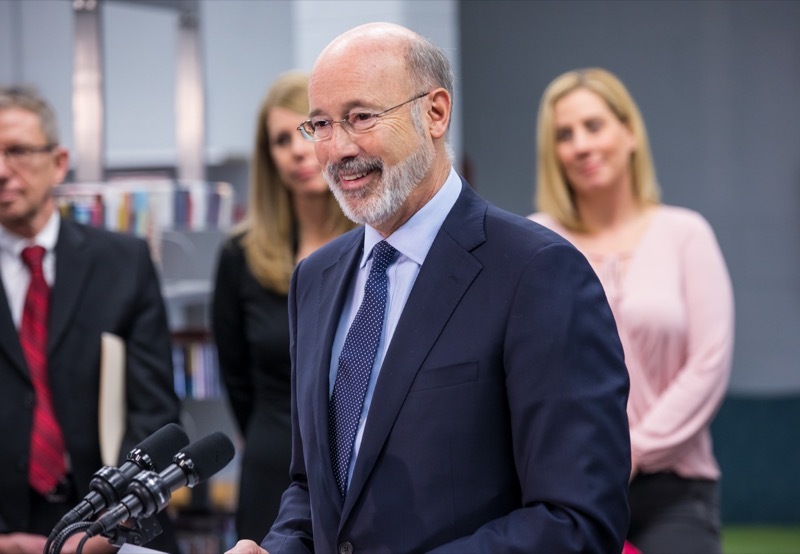 Governor Tom Wolf joined parents, teachers and school administrators today to announce more improvements to standardized testing in Pennsylvania. 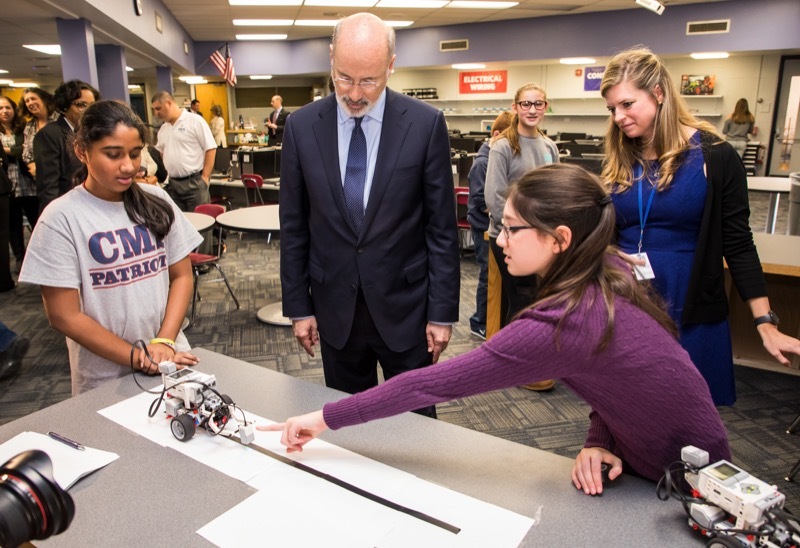 After reducing the number of test days by two days this school year, starting next school year, the Pennsylvania System of School Assessment (PSSA) will be condensed from three weeks to two weeks and shifted to later in the school year, easing stress on students and giving them up to two additional weeks to learn before taking the assessment. 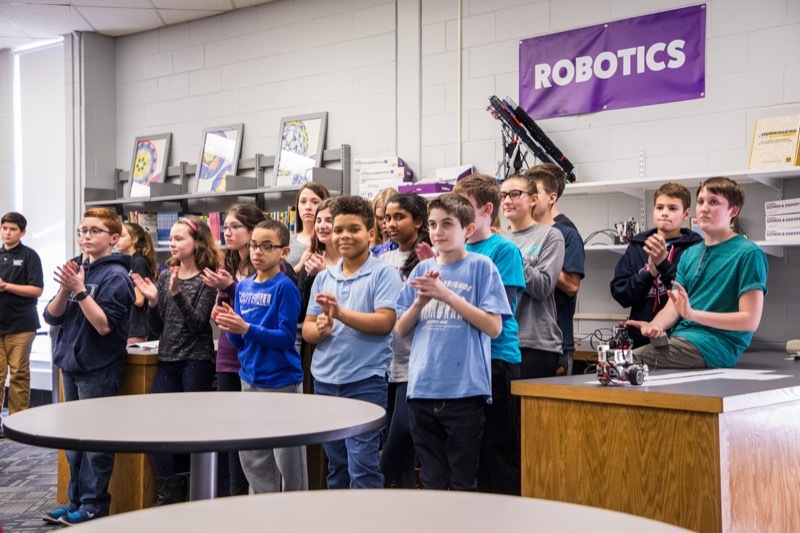 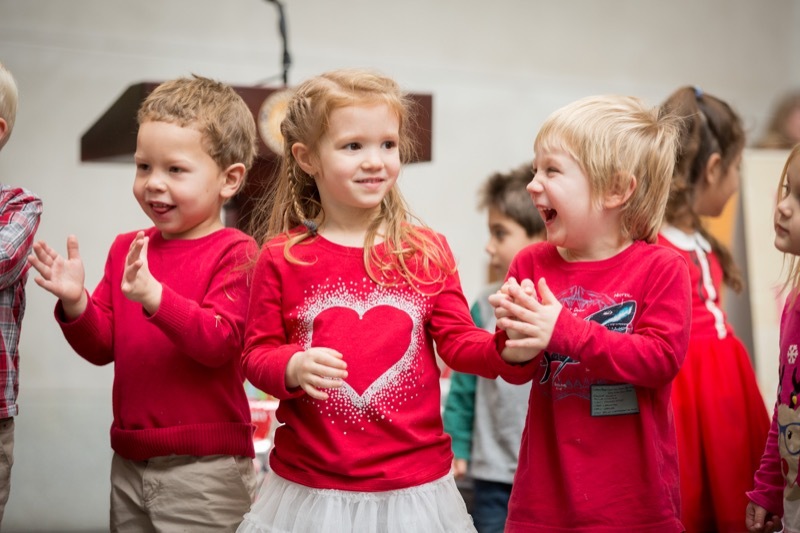 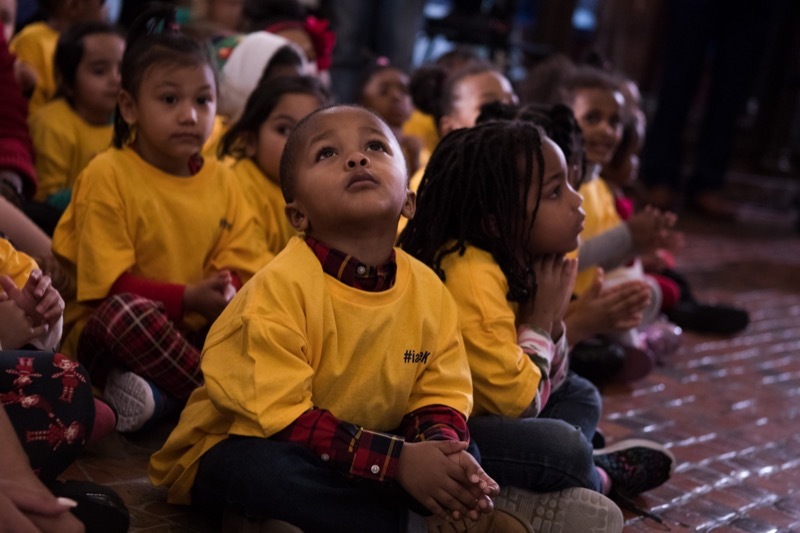 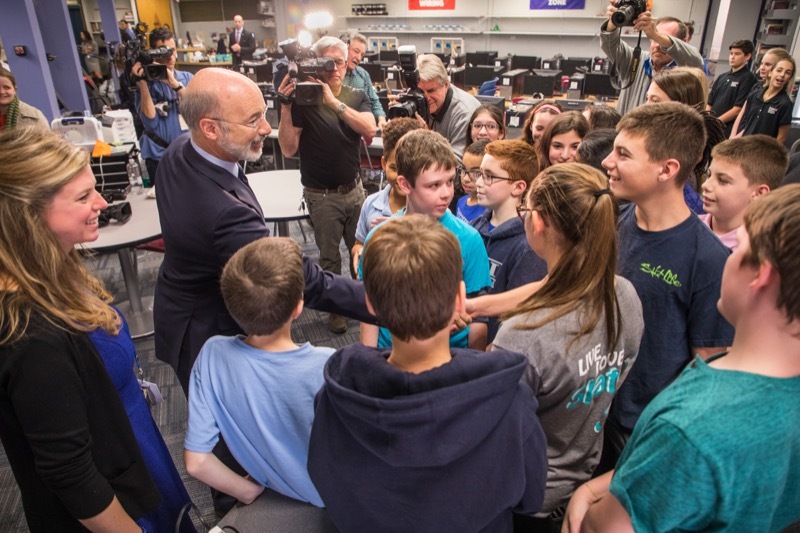 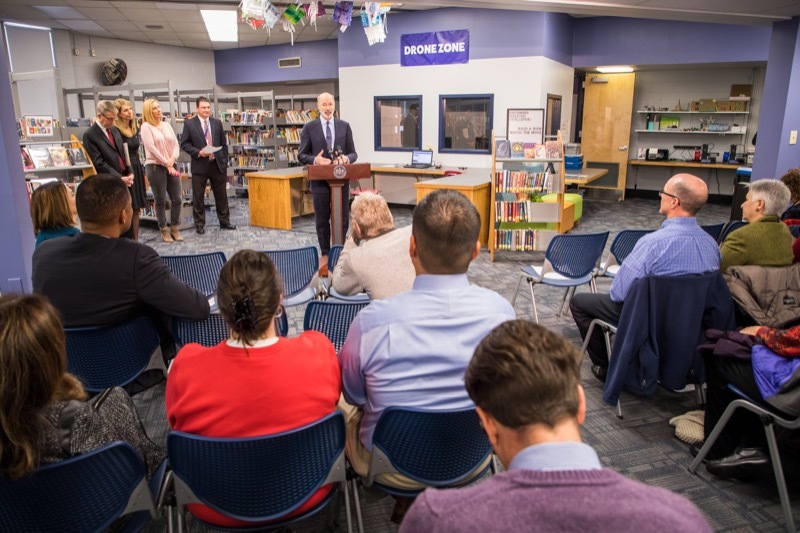 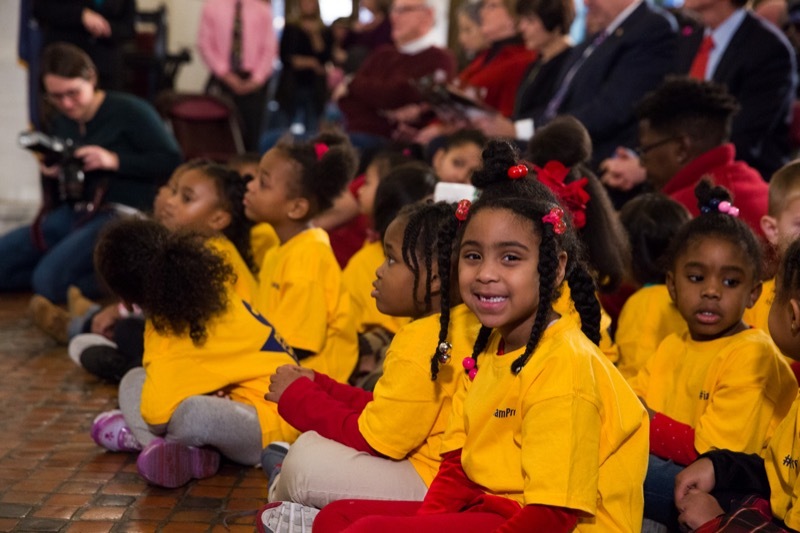 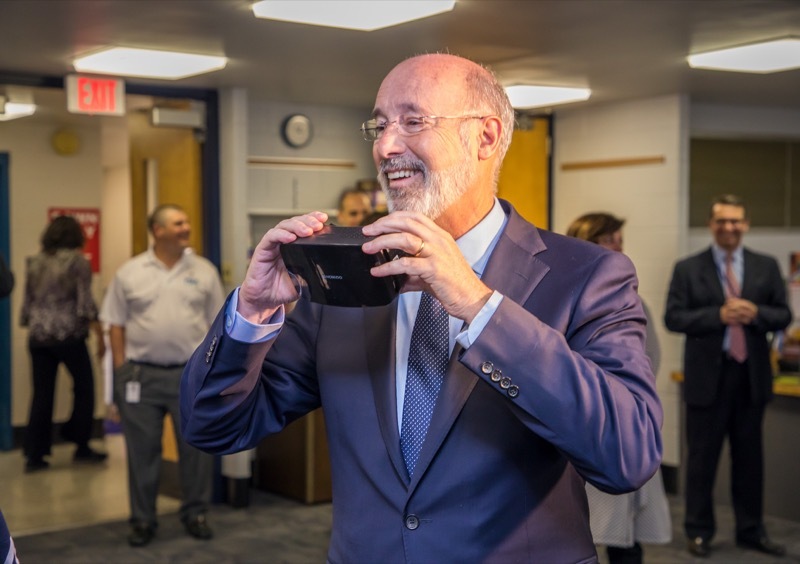 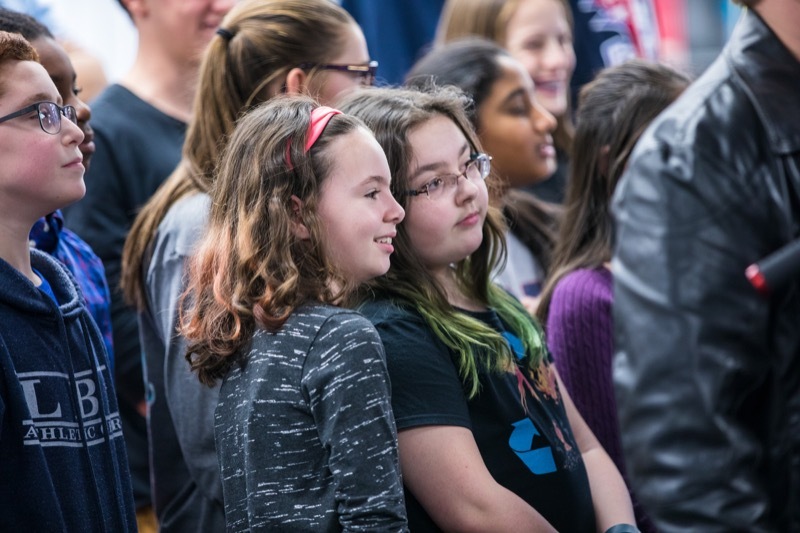 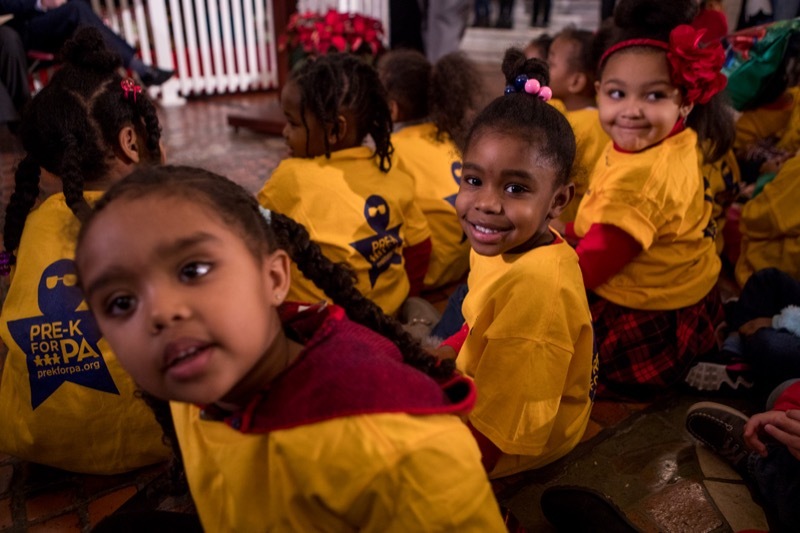 Harrisburg, PA - Governor Tom Wolf joined parents, teachers and school administrators today to announce more improvements to standardized testing in Pennsylvania. 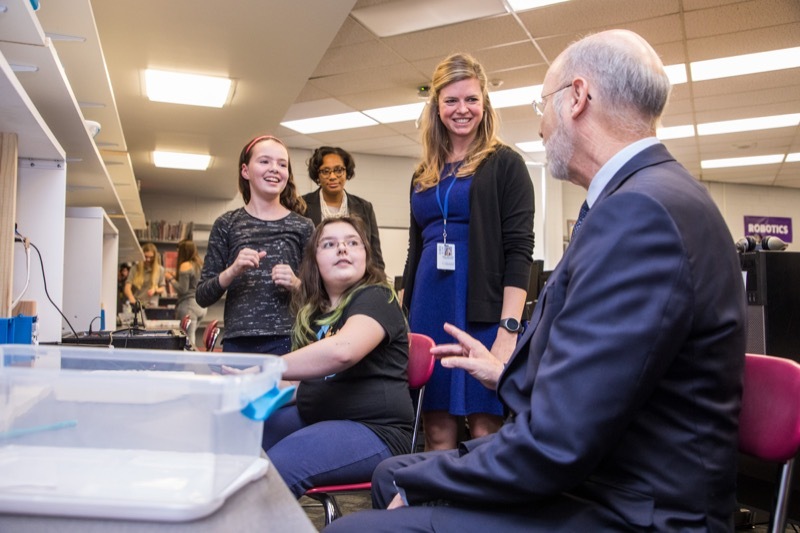 After reducing the number of test days by two days this school year, starting next school year, the Pennsylvania System of School Assessment (PSSA) will be condensed from three weeks to two weeks and shifted to later in the school year, easing stress on students and giving them up to two additional weeks to learn before taking the assessment. 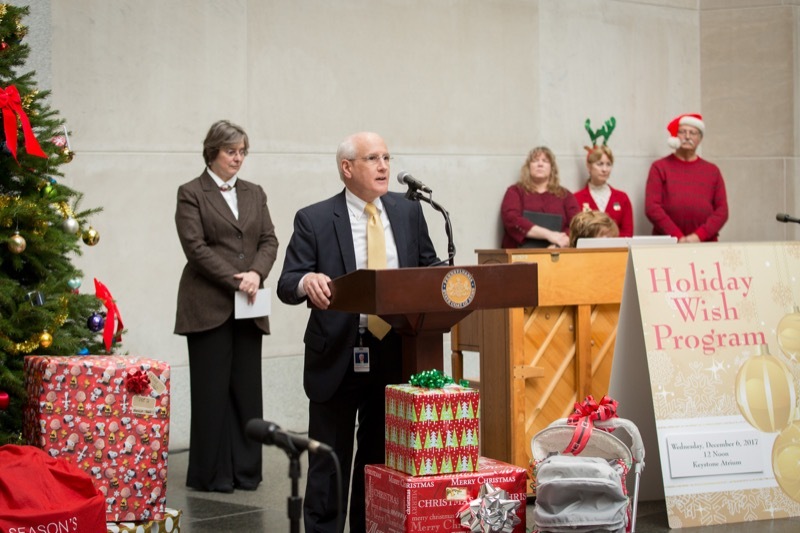 Today the Wolf Administration's Deputy Secretary for Health Promotion and Disease Prevention, Dr. Loren Robinson, reminded Pennsylvanians of the importance of getting a flu vaccination. 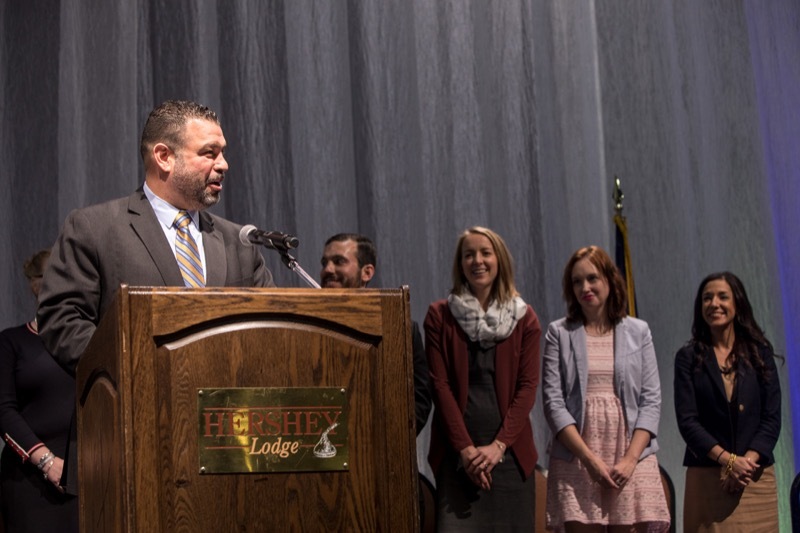 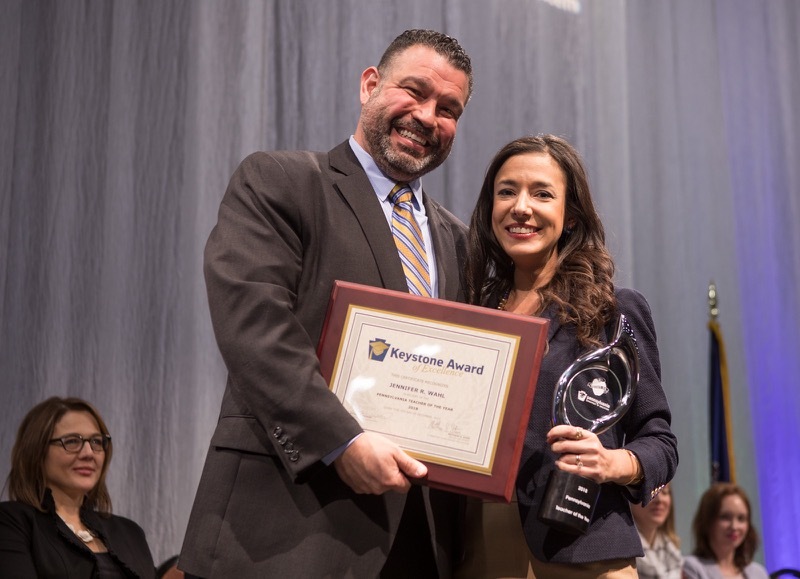 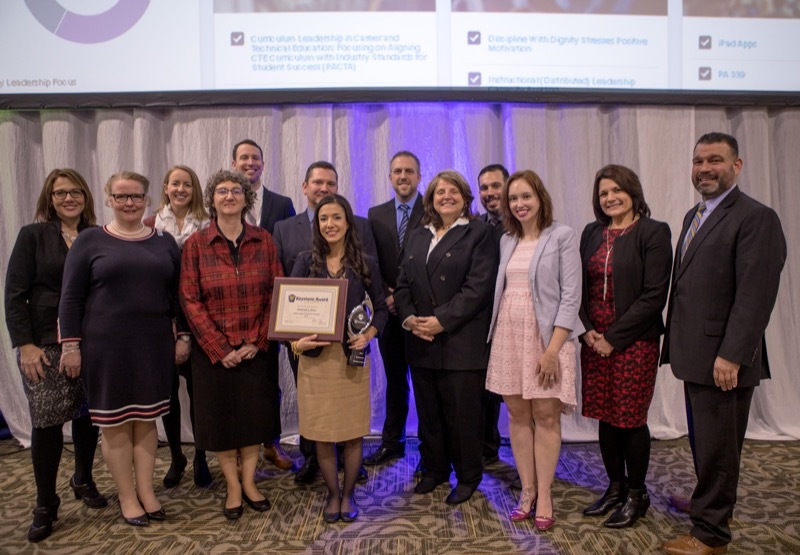 Today, Education Secretary Pedro A. Rivera announced Jennifer R. Wahl, a teacher at Loyalsock Township High School in Lycoming County, has been named the 2018 Pennsylvania Teacher of the Year. 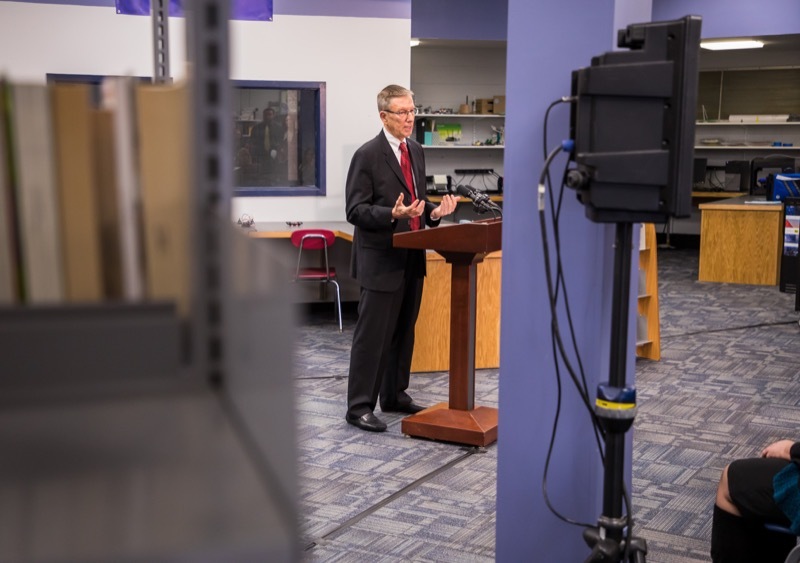 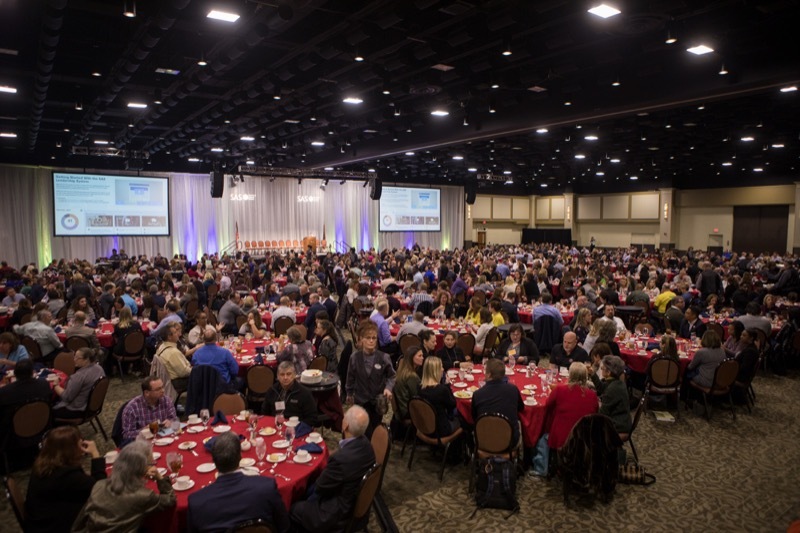 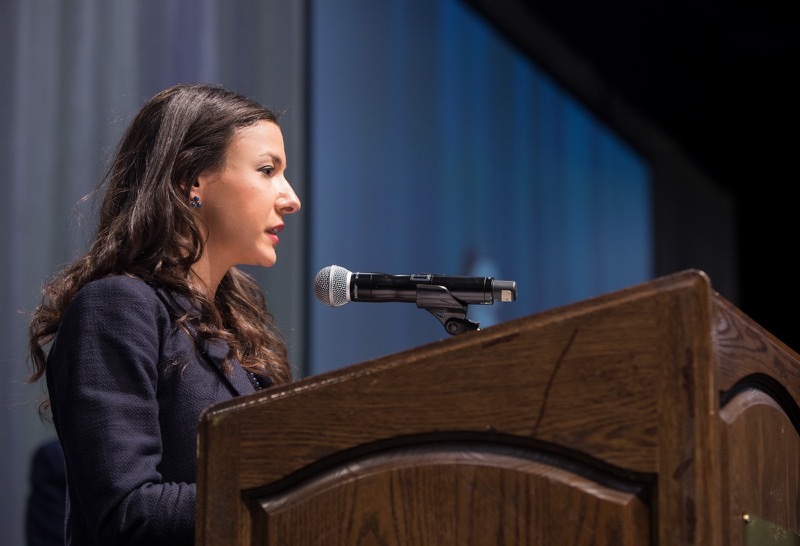 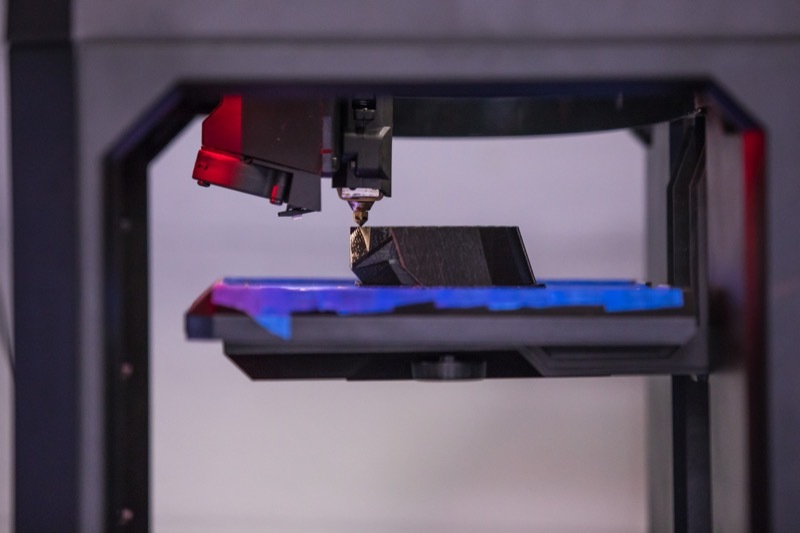 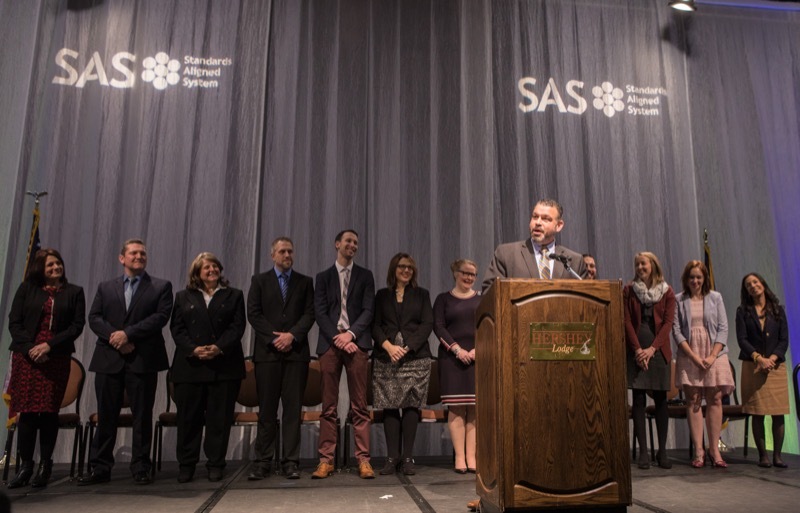 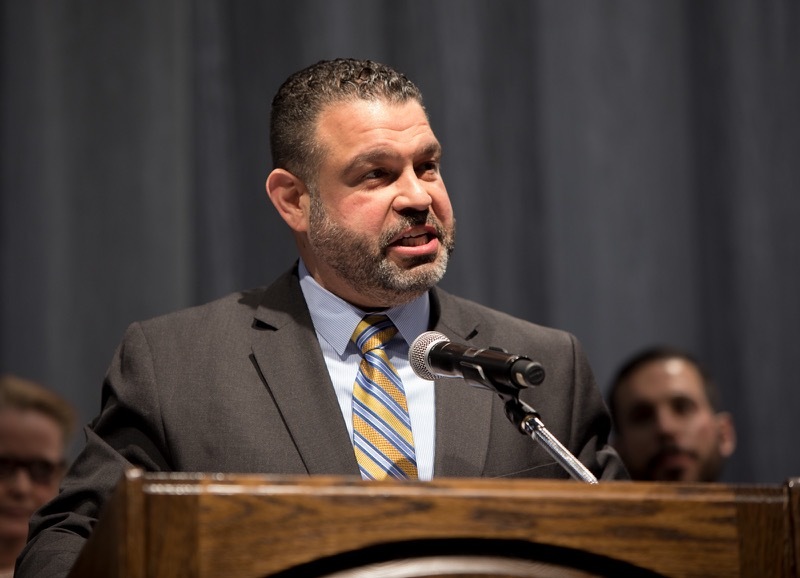 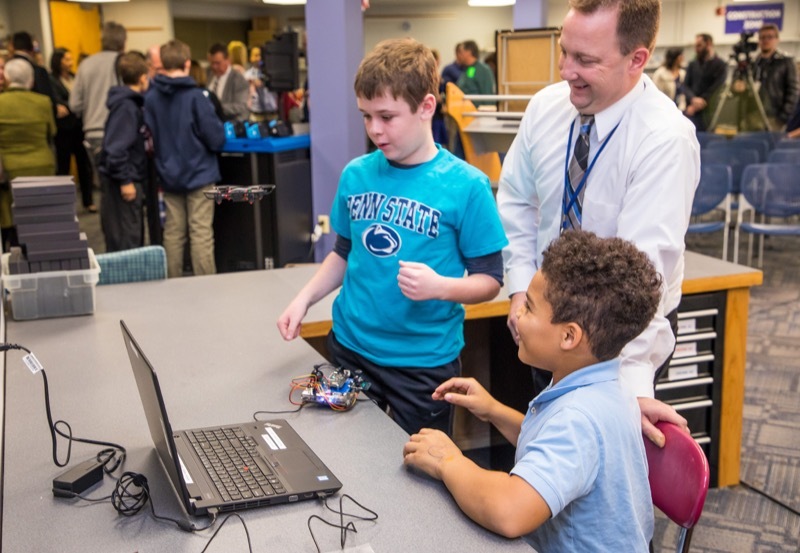 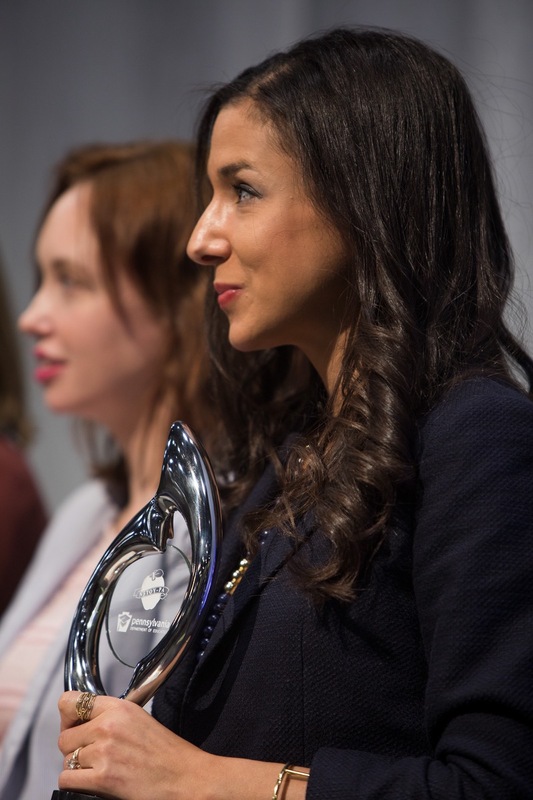 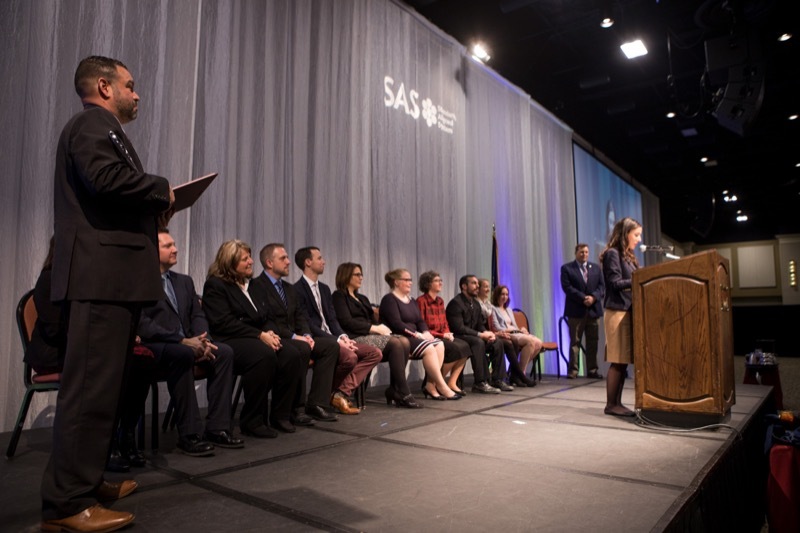 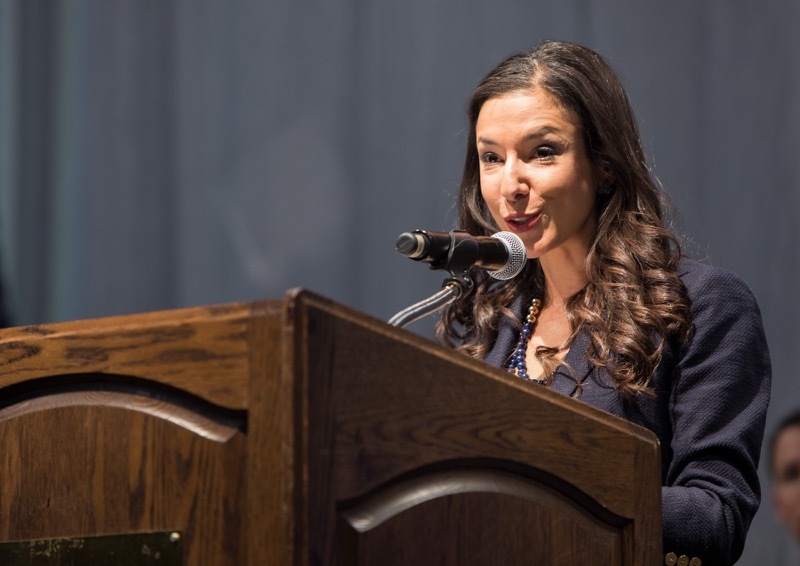 The announcement was made during the SAS Institute, the Pennsylvania Department of Education's annual professional development conference.